Home » Places » Where the two Switzerlands combine. 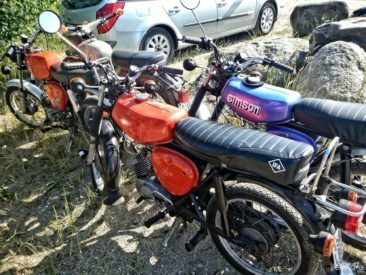 The story of how boys kidnapped us. 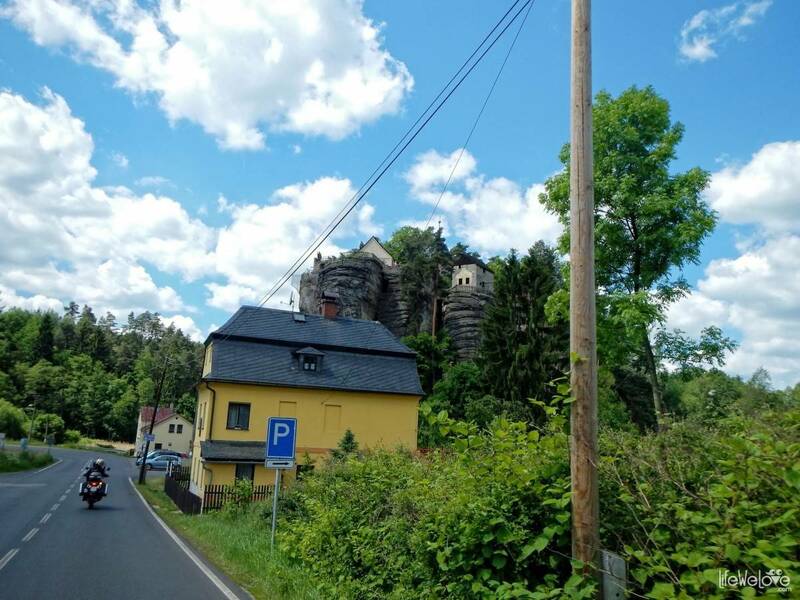 We ride up to the houses shot into the sky between trees on top of a sandstone tower. 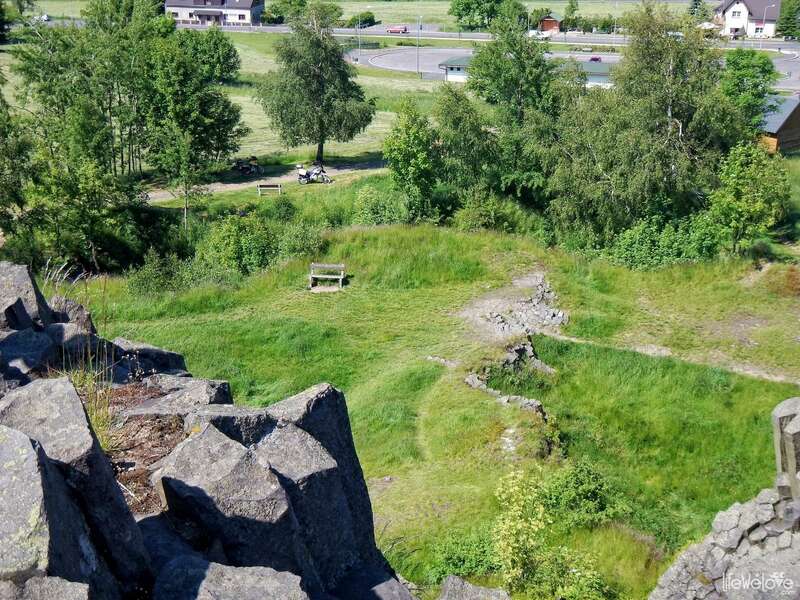 This is not a scene from the fantasy movie, but a fortified borough from the Middle Ages, burned during the Swedish invasions, and then offered to hermits. 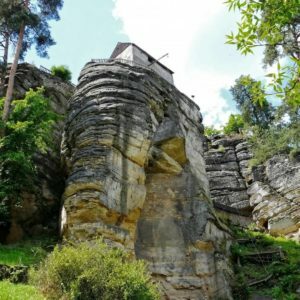 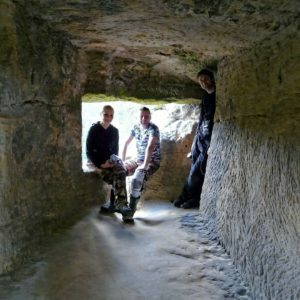 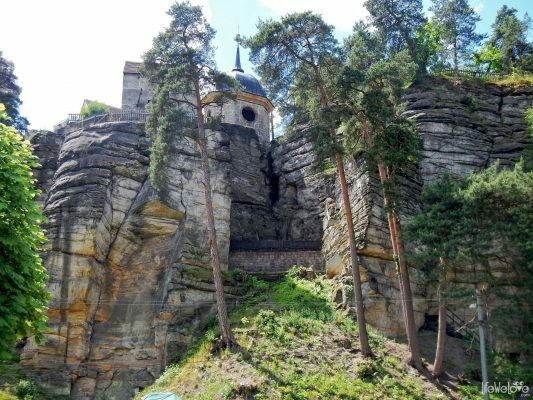 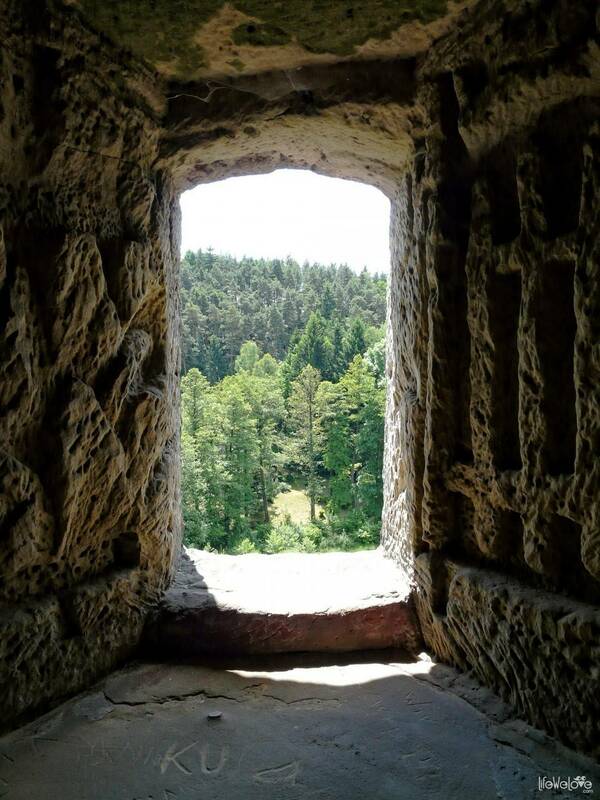 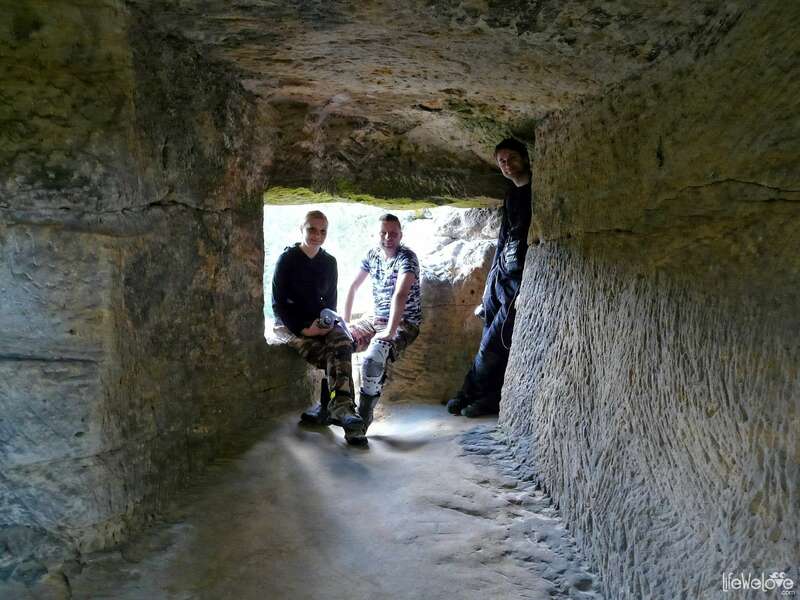 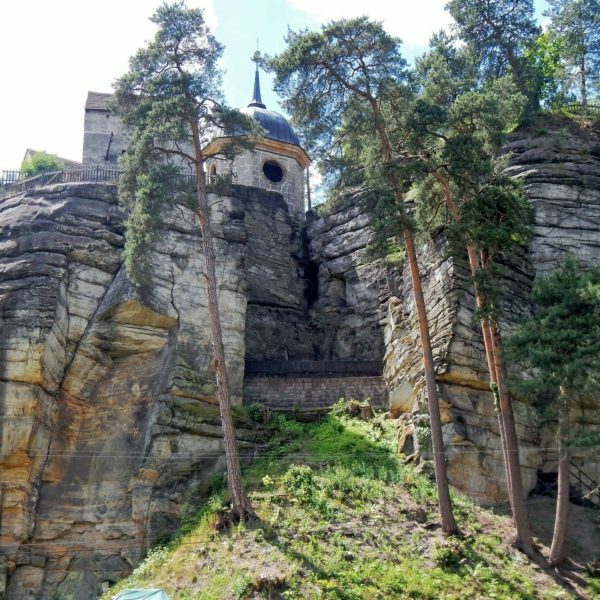 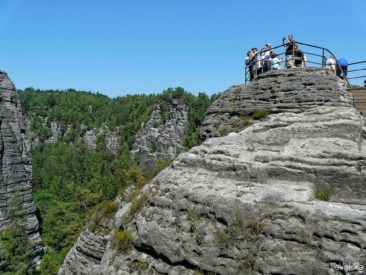 Climbing the Knightly Stairs at 35 m above the surrounding countryside, we enter the labyrinth of caves and rock caves hewn into the rock, and we admire the panorama of the Lusatian Mountains all around us. 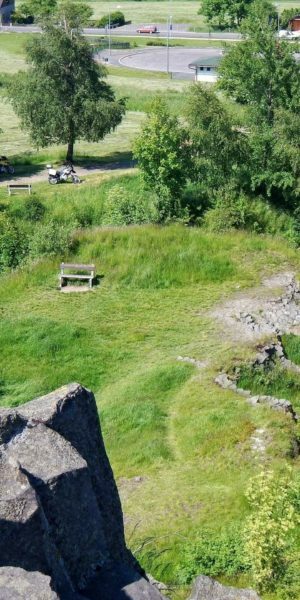 The castle is available to be explored alone or with a guide. Prices are CZK 70 per adult ticket, reduced CZK 40 and CZK 175 family (max. 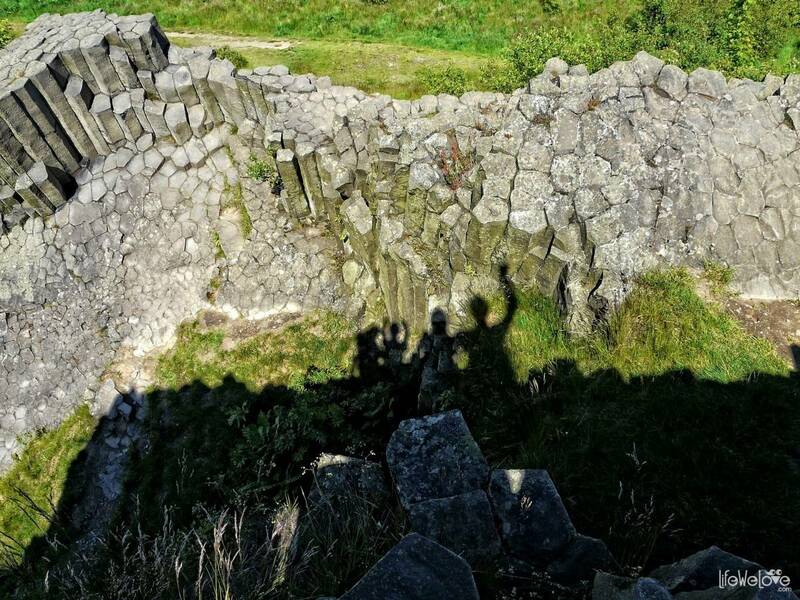 two adults and children). 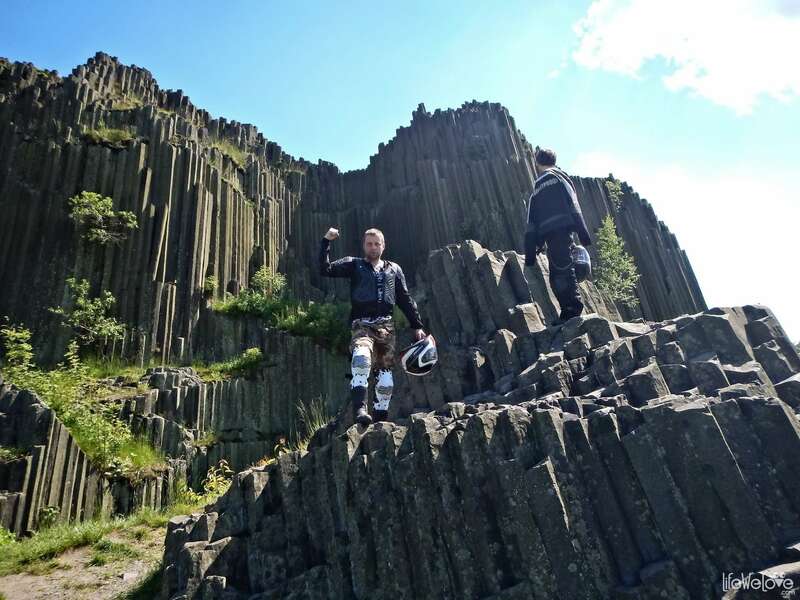 From Sloup our riders rush toward another rock trivia. 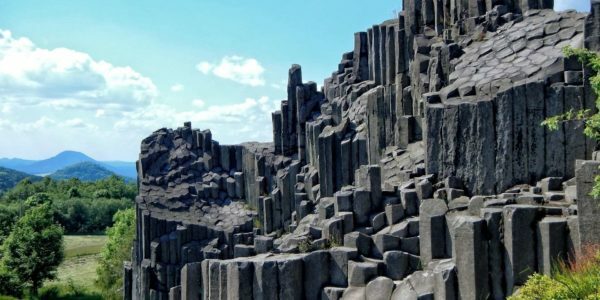 Once again surprised by the view, this time an unusual structure so geometric, it’s hard to believe that the human hand did not help. 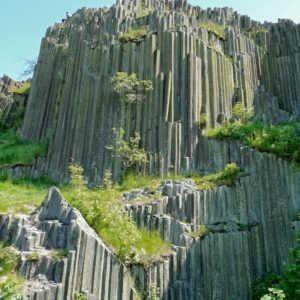 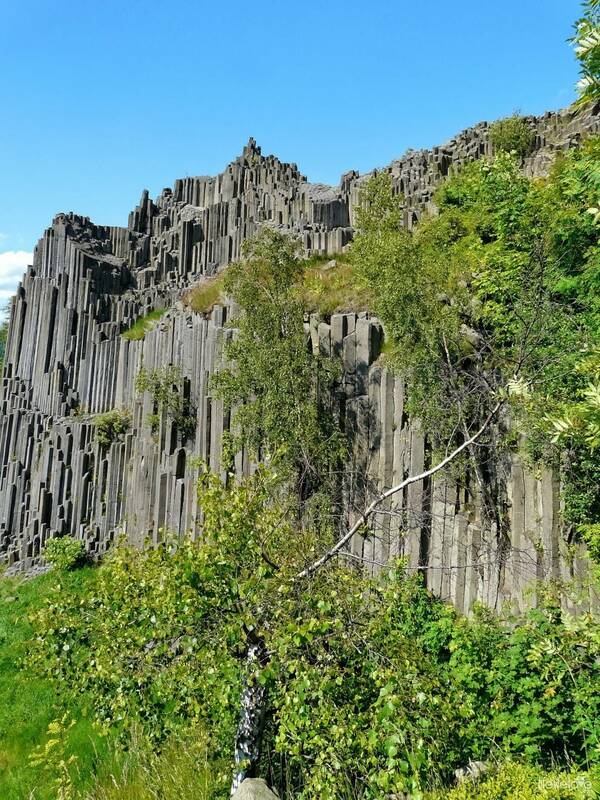 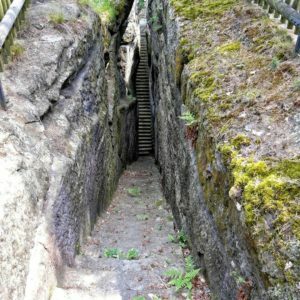 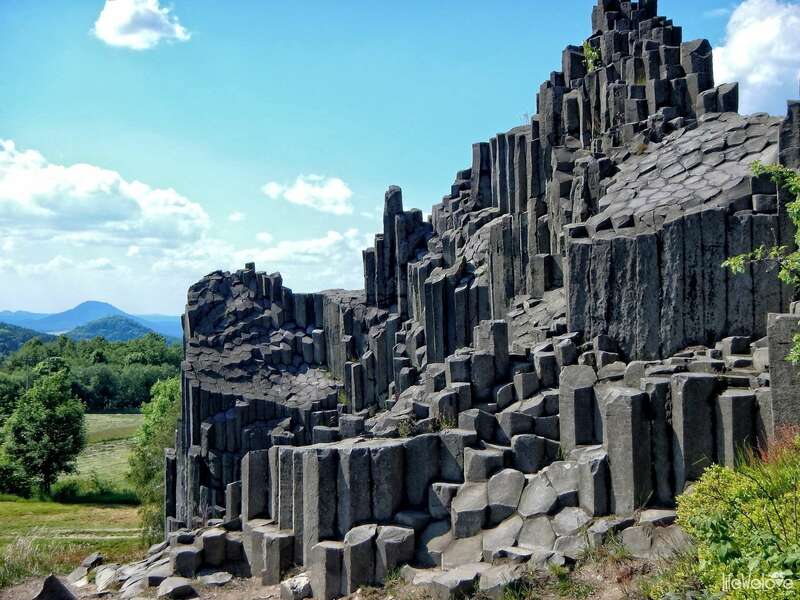 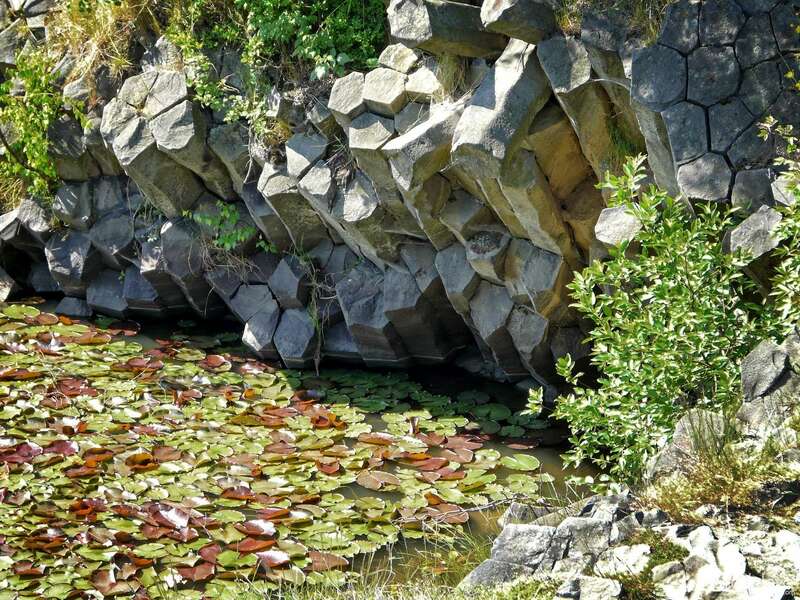 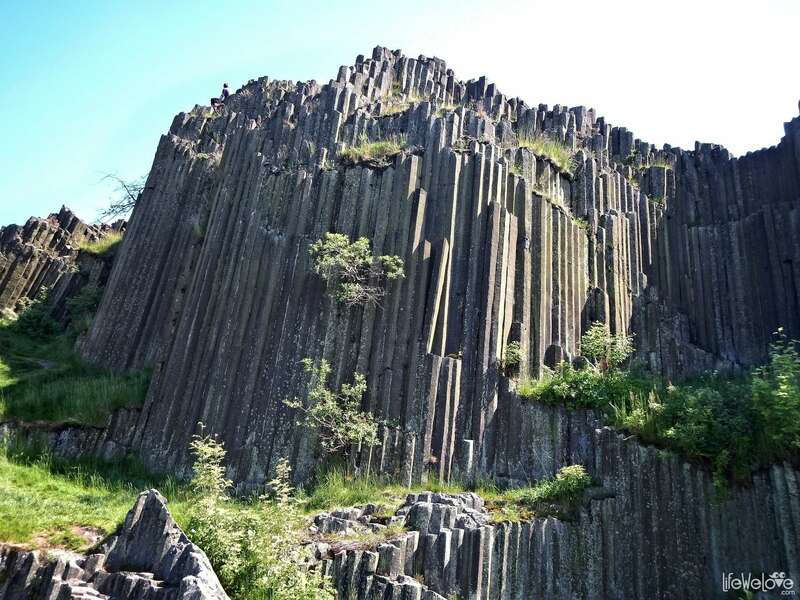 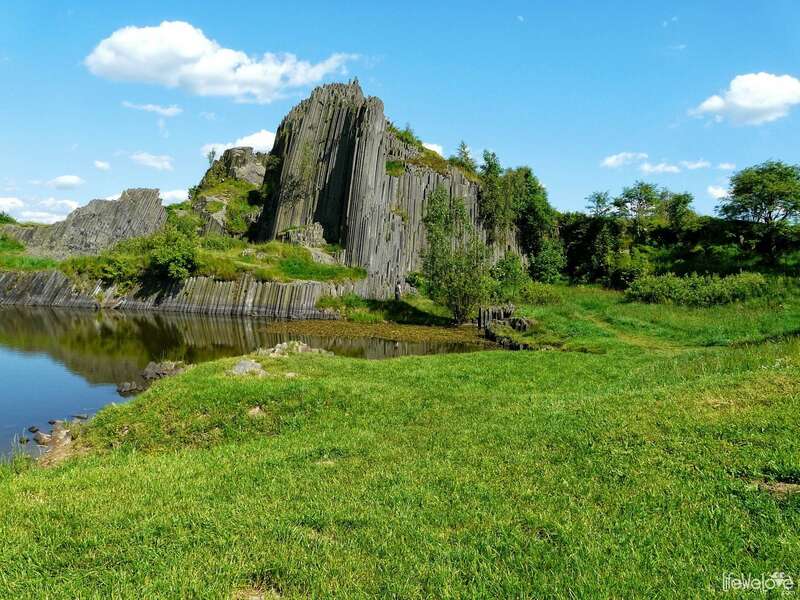 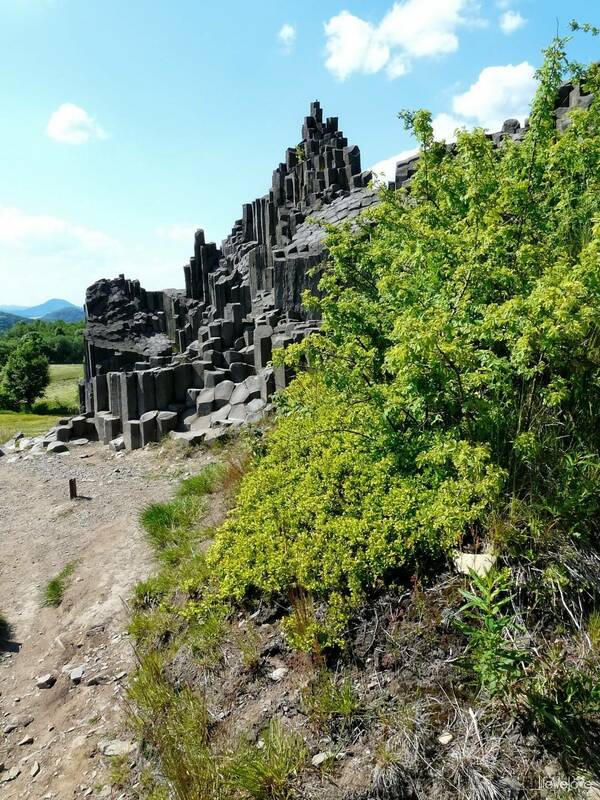 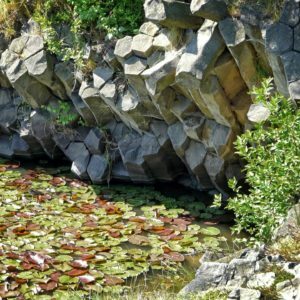 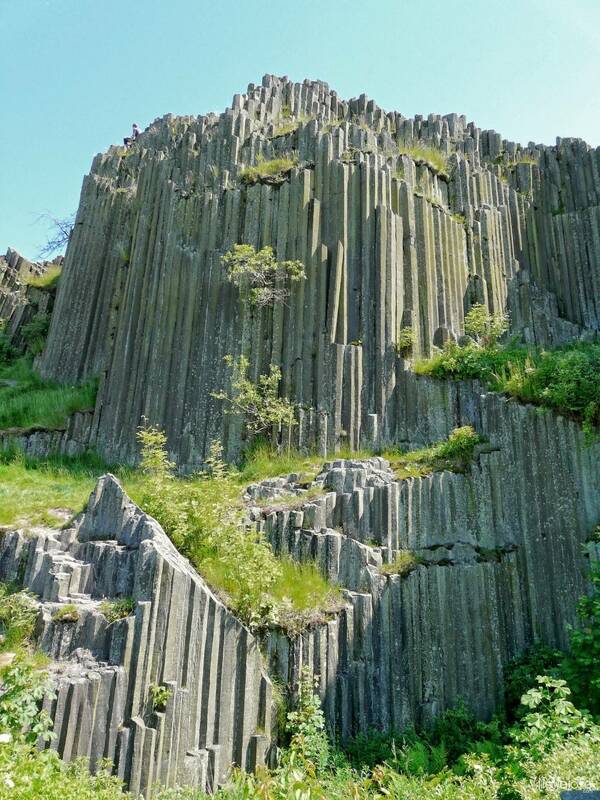 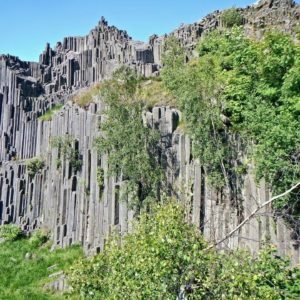 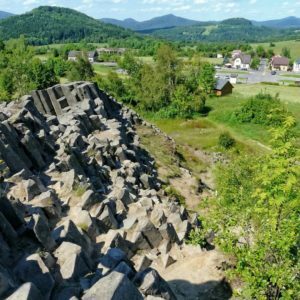 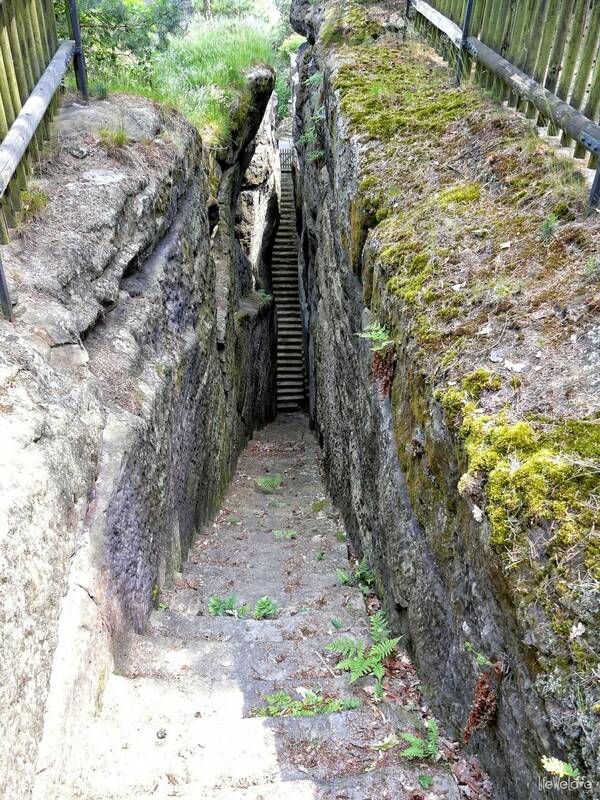 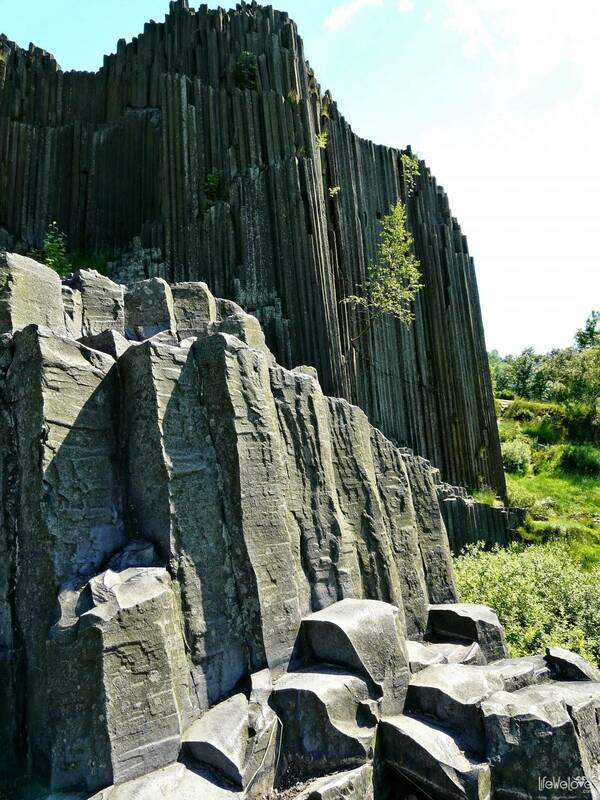 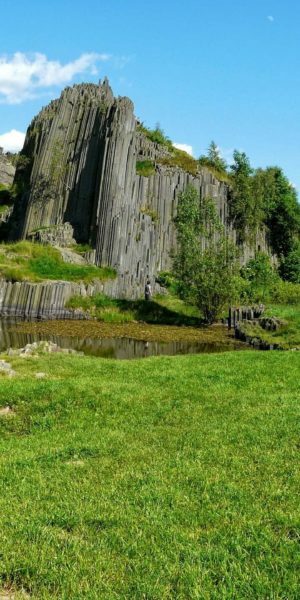 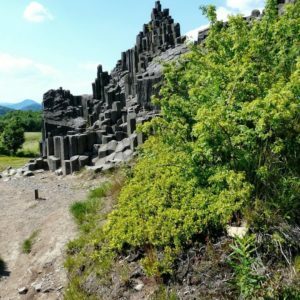 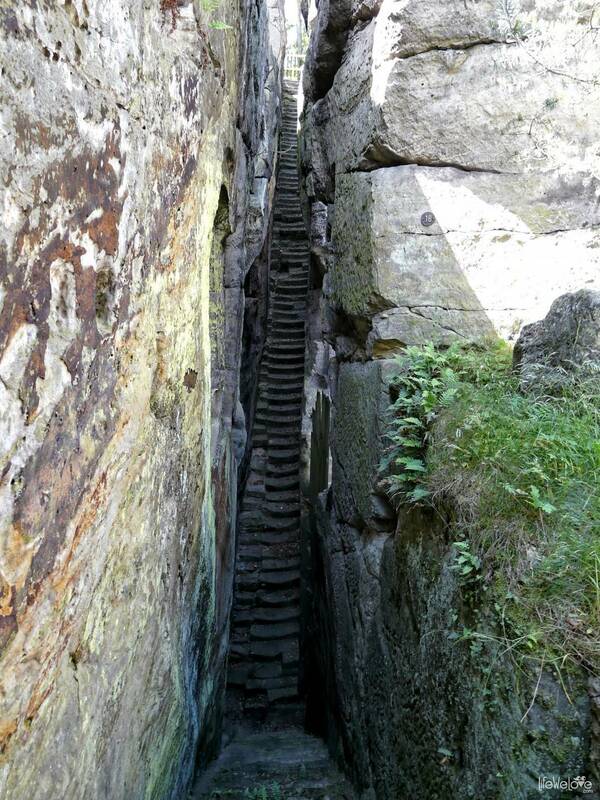 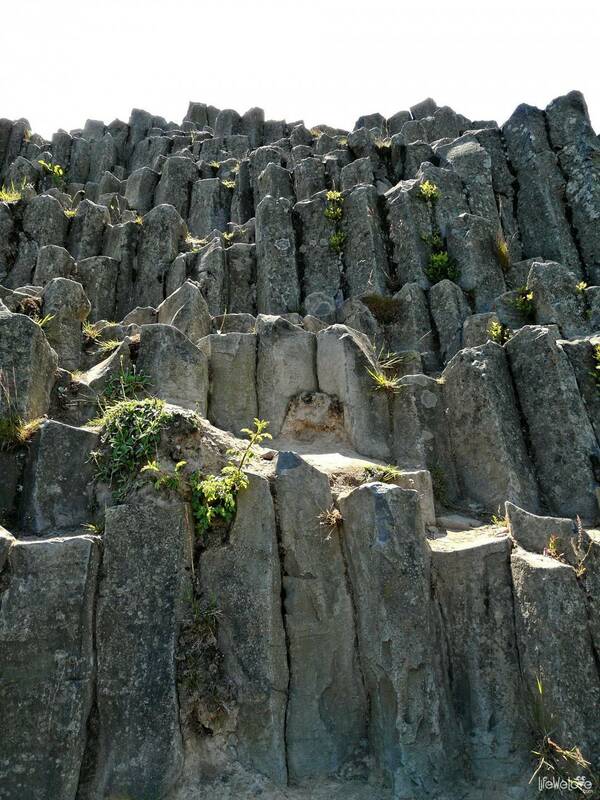 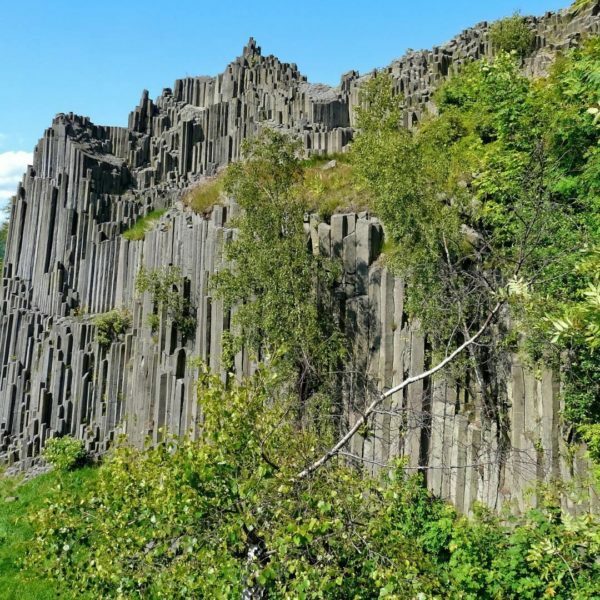 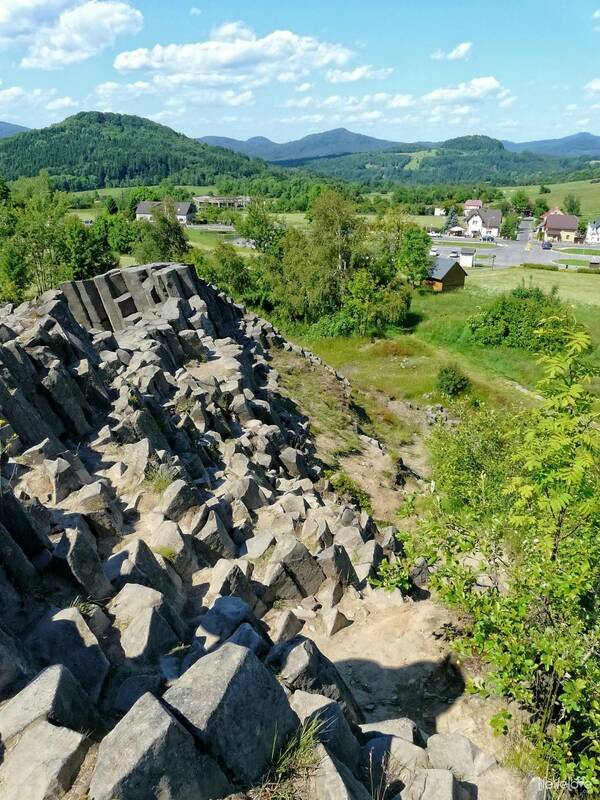 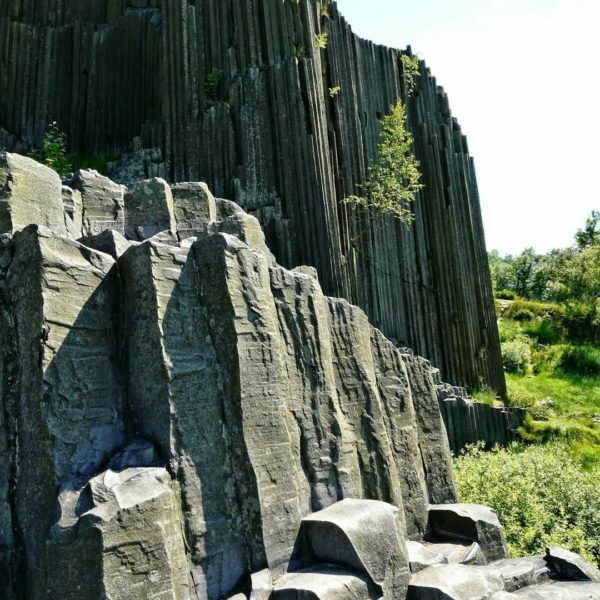 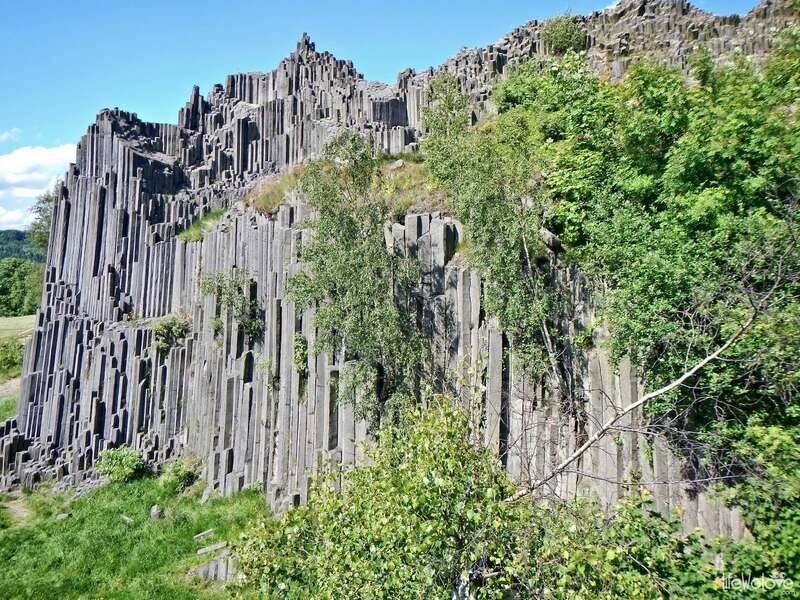 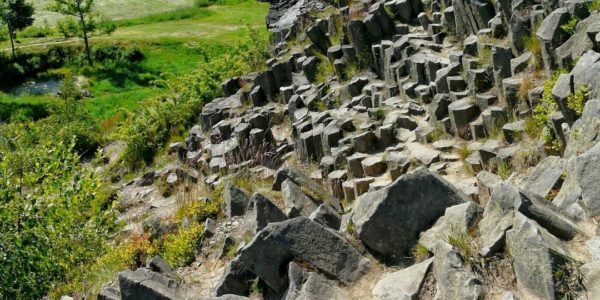 These pentagonal or hexagonal basalt columns reaching almost 12 meters, are volcanic formation, national natural monument in the village Prachen, near Kamienicki Szenów. 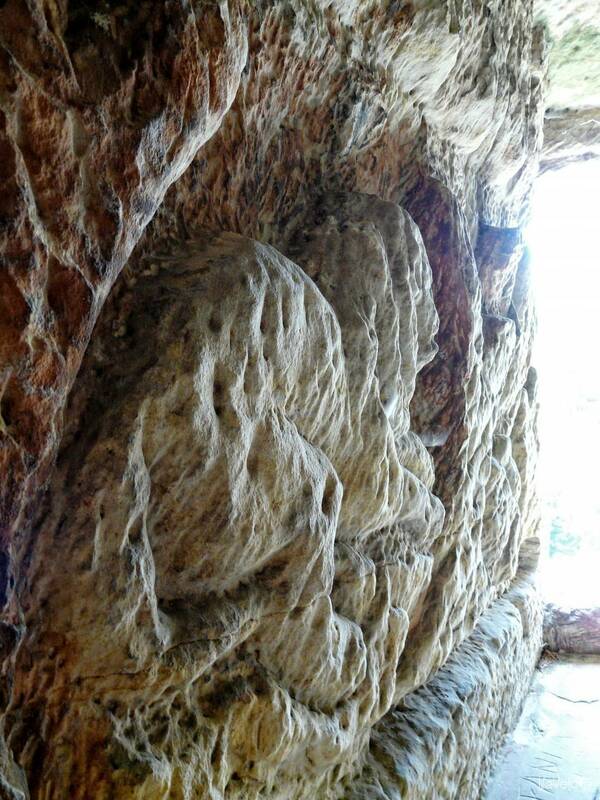 Looking at them, my first inclination was: “stone organs” and indeed that name even stands – Kamenné Varhany. How this miracle was created? 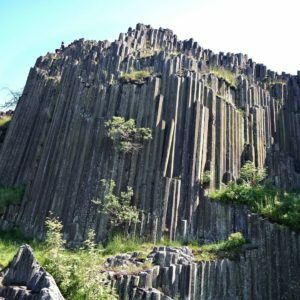 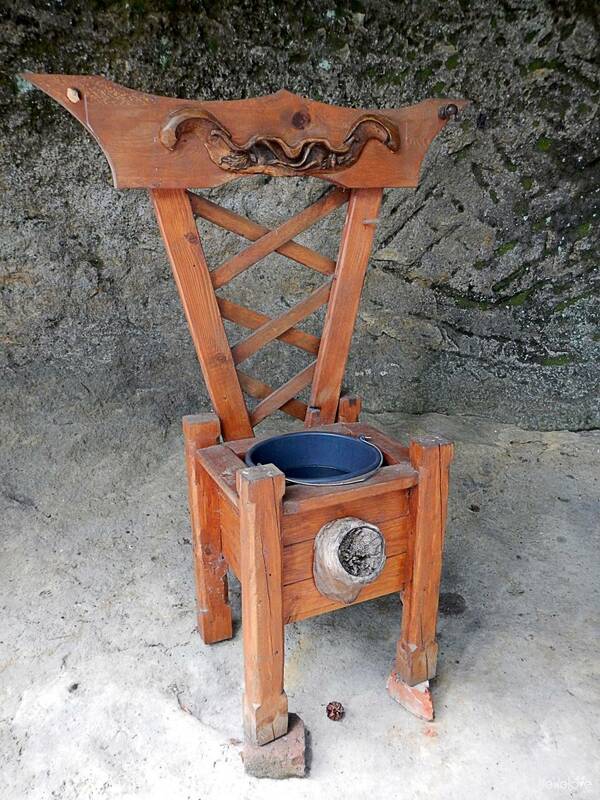 Sources say that about 30 million years ago, lava flowing from a depth of 30 km solidified inside the volcanic chimney. 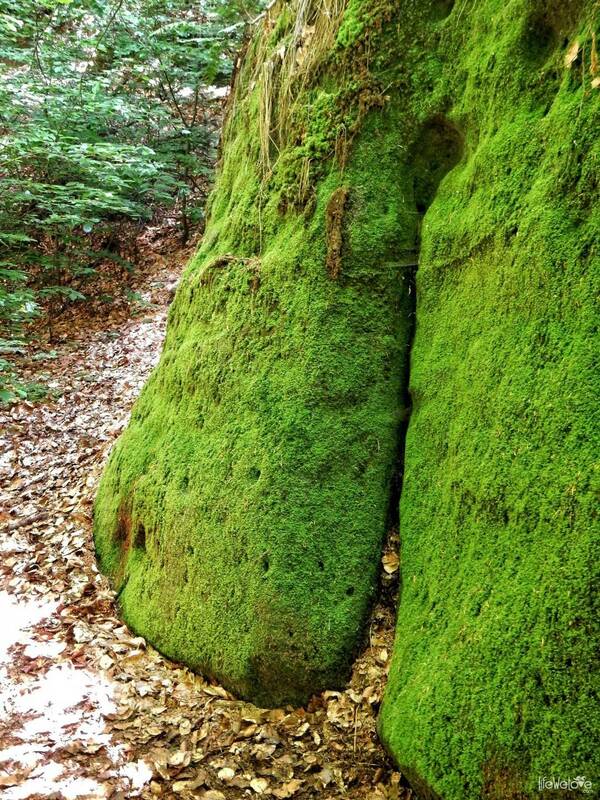 Interestingly, cooling down it shrank and burst creating poles of regular shape. 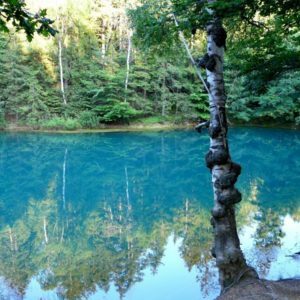 Next to it, there is a small lake inhabited by a record number of frogs. 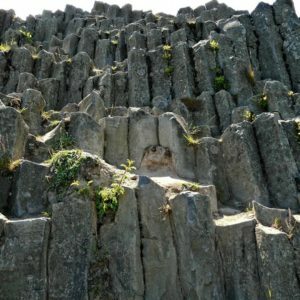 The location enjoys the sympathy of tourists and film crews who use this unique stage design. 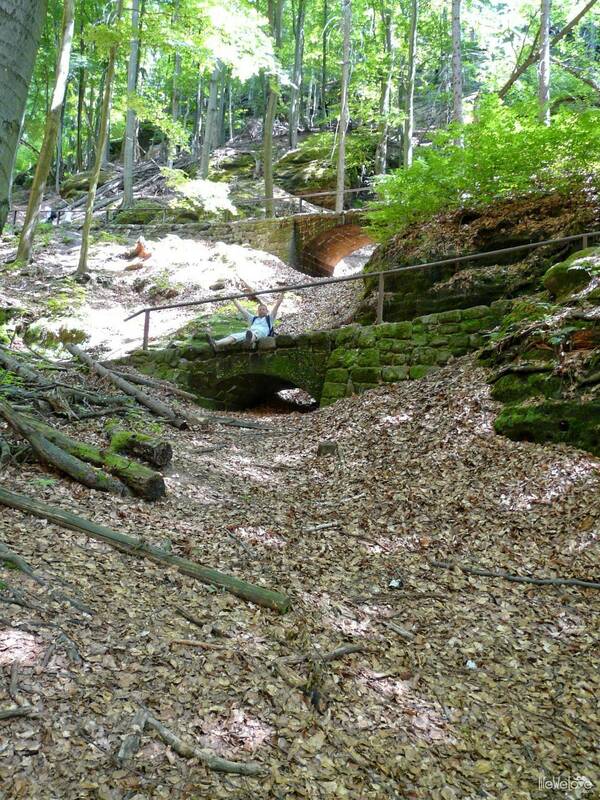 These giant organs in the middle of the clearing are the work of nature from 30 million years ago! 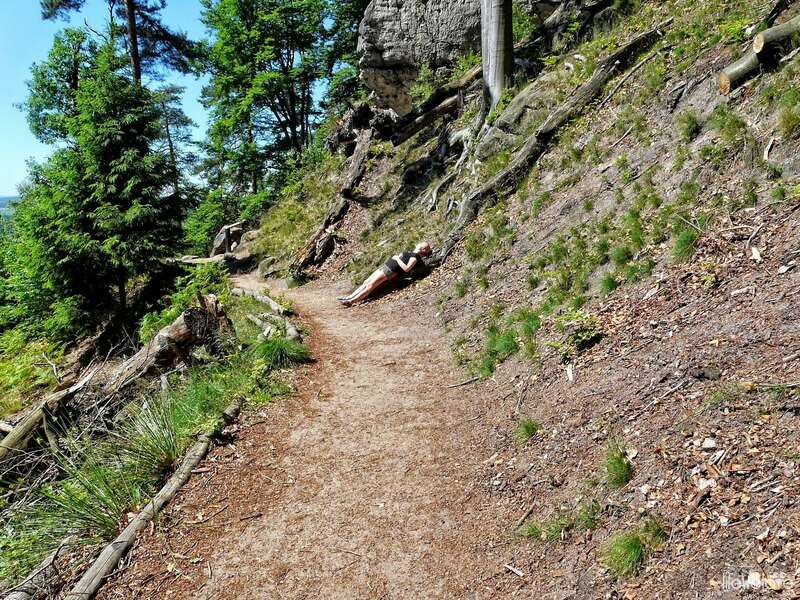 This is not the end of the excitement of the day. 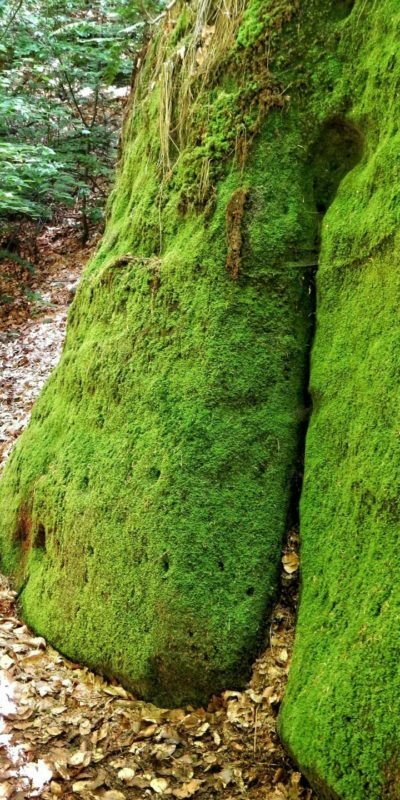 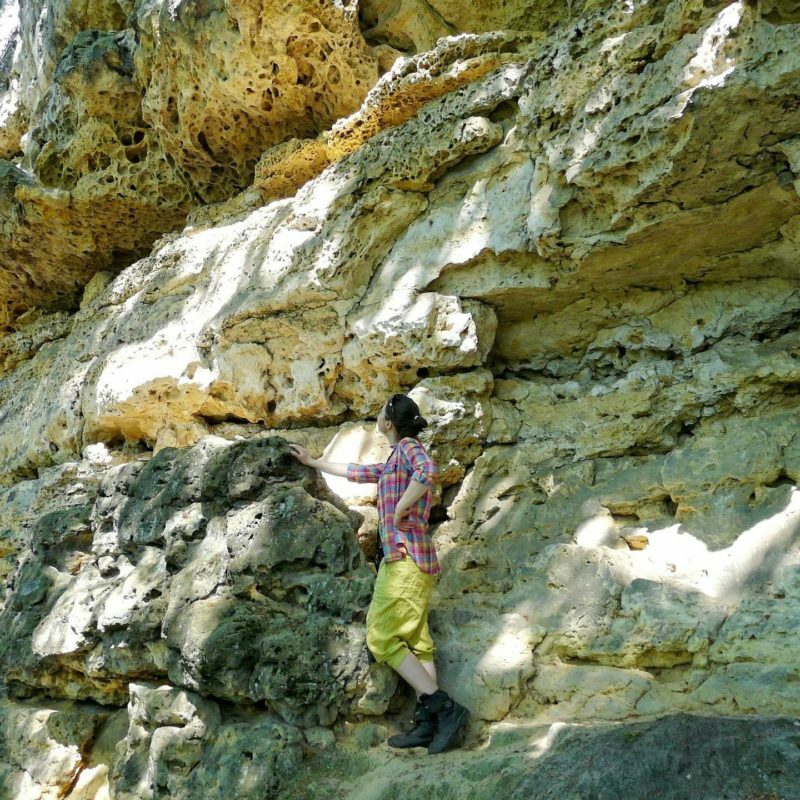 And not the end of the rock climates. 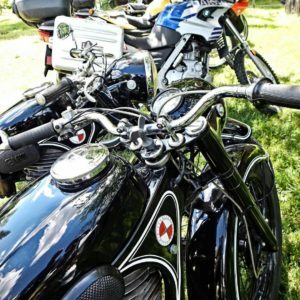 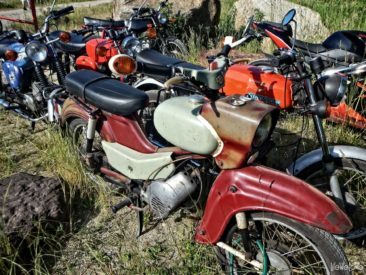 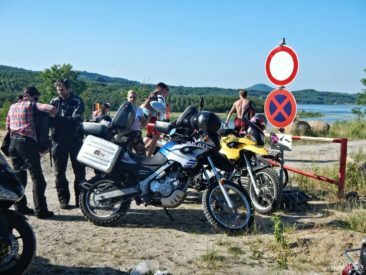 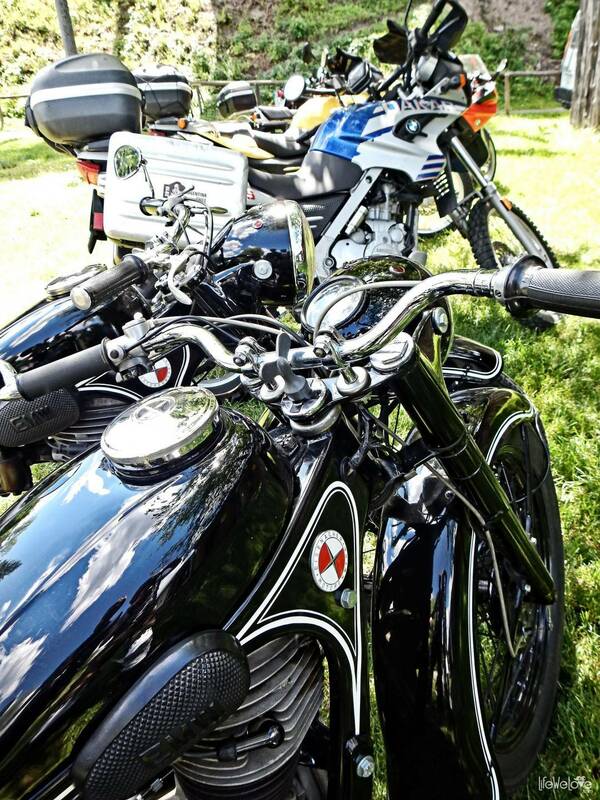 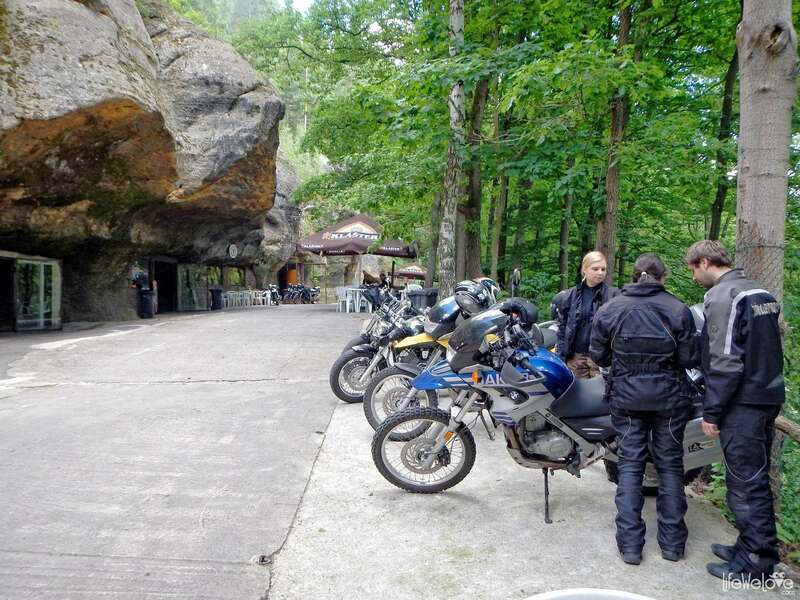 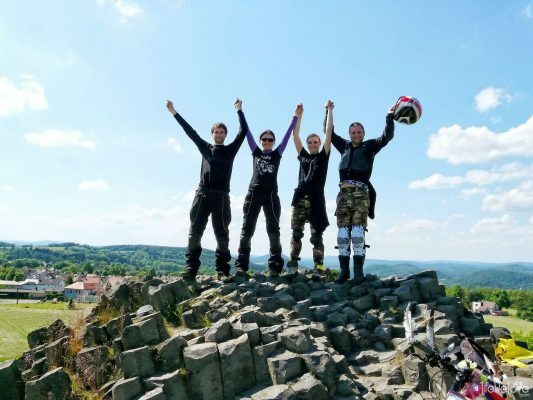 Motorcycles enter the famous Czech cavernous headquarters of bikers. 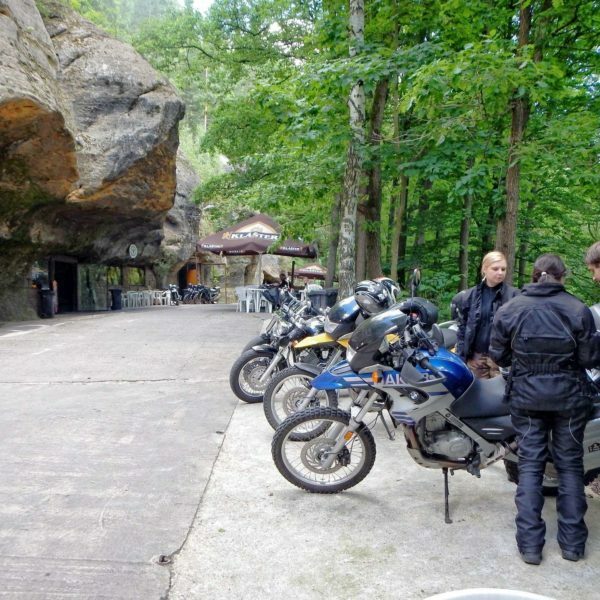 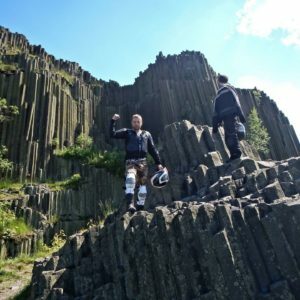 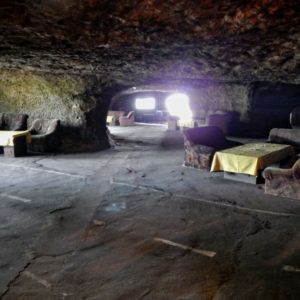 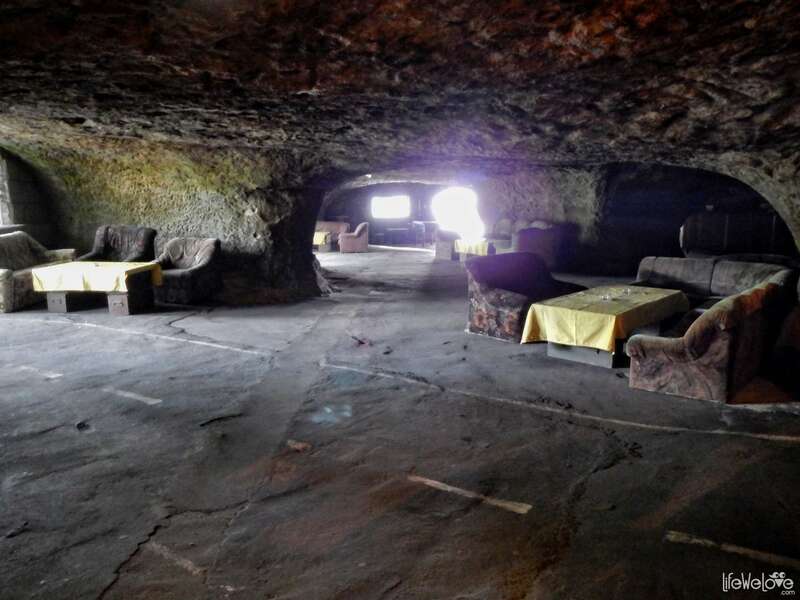 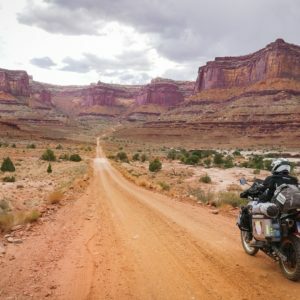 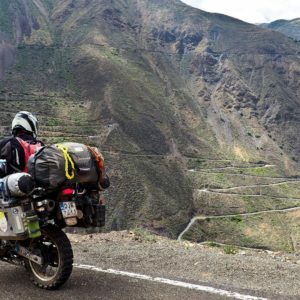 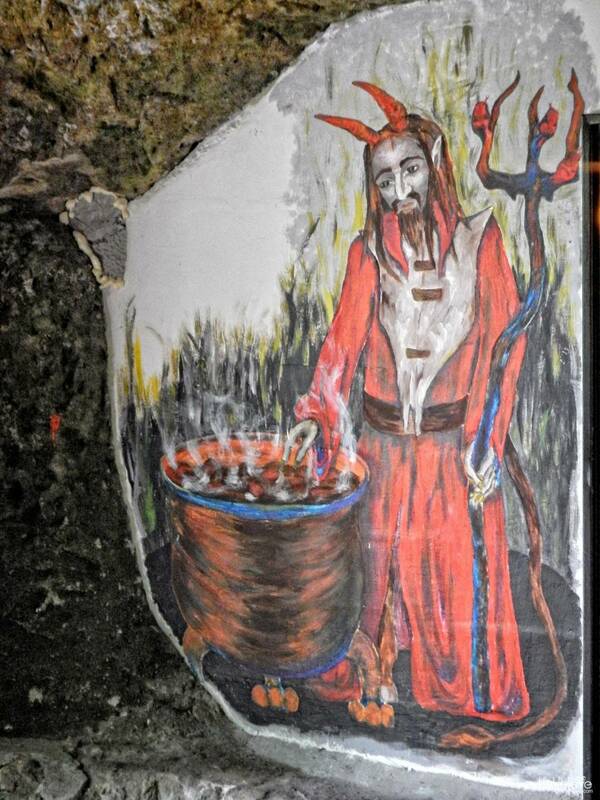 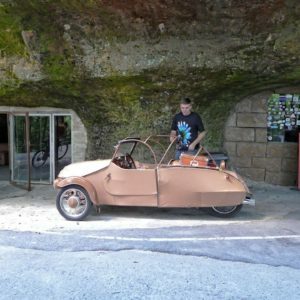 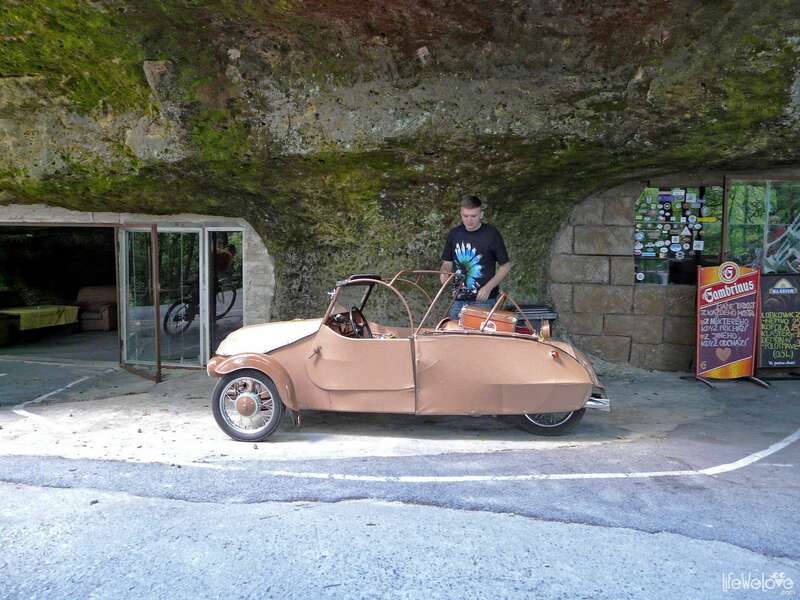 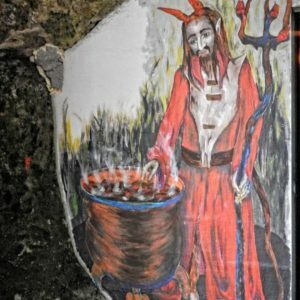 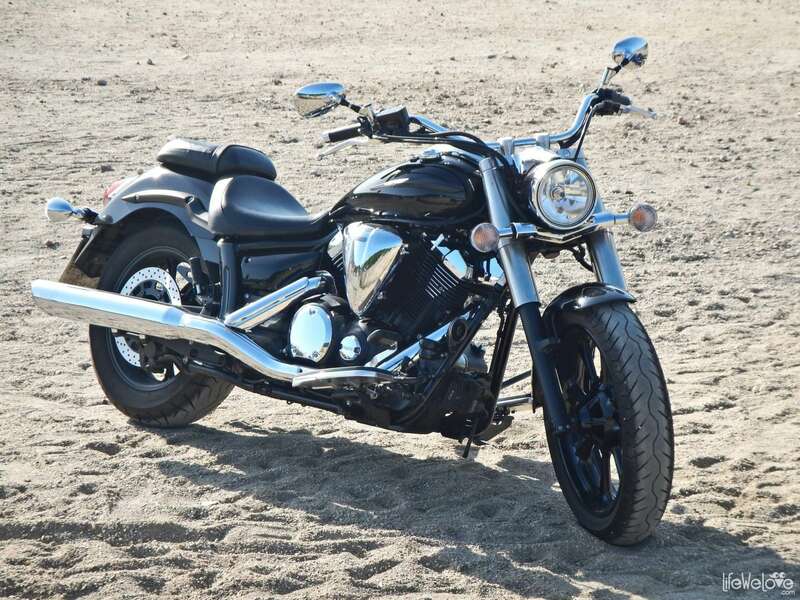 Pekelne Doly, or “The Pits of Hell” is the only one in Europe such motorcycle club that lets you ride a motorcycle right to the bar located under a stone ceiling and circulate on the machines in the labyrinths of the largest on the continent sandstone. 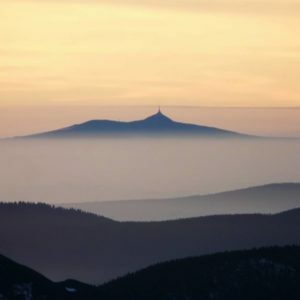 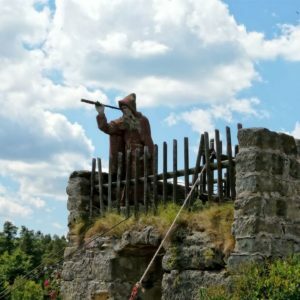 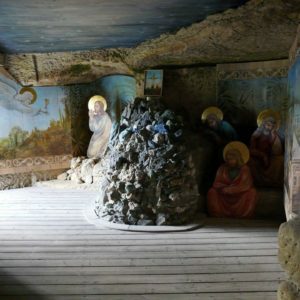 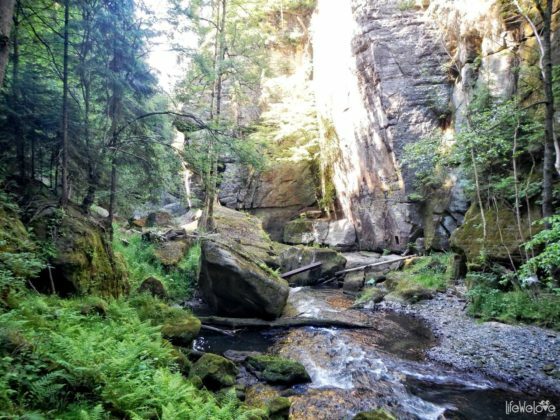 This unique place is located in the Czech Republic between the villages of Svitava and Valenica, approx. 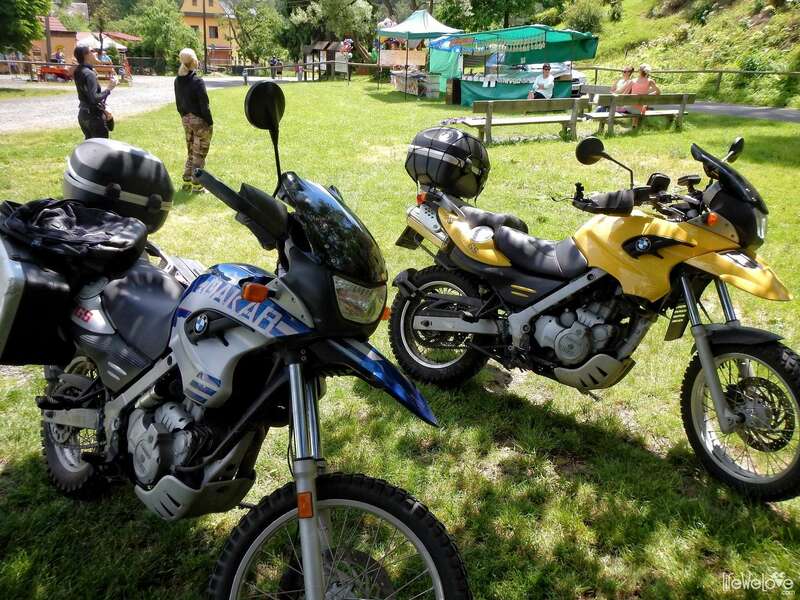 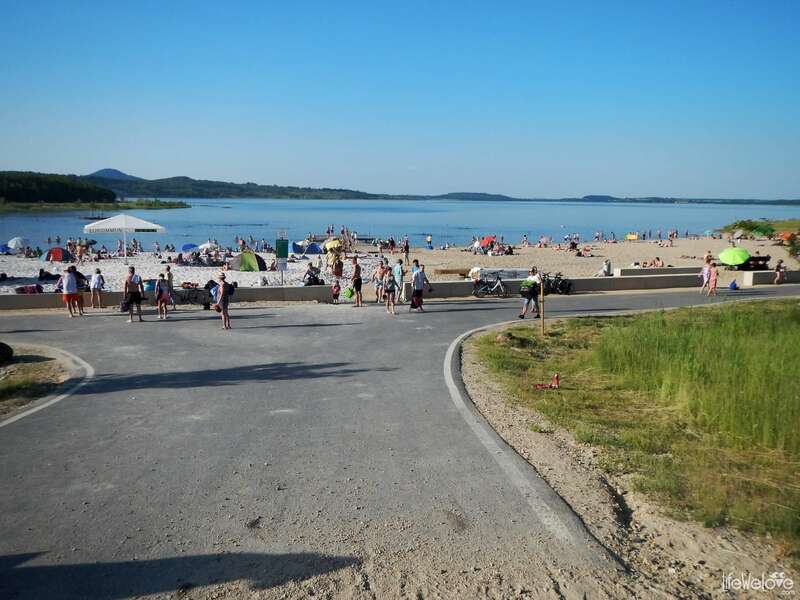 45 km from Bogatynia. 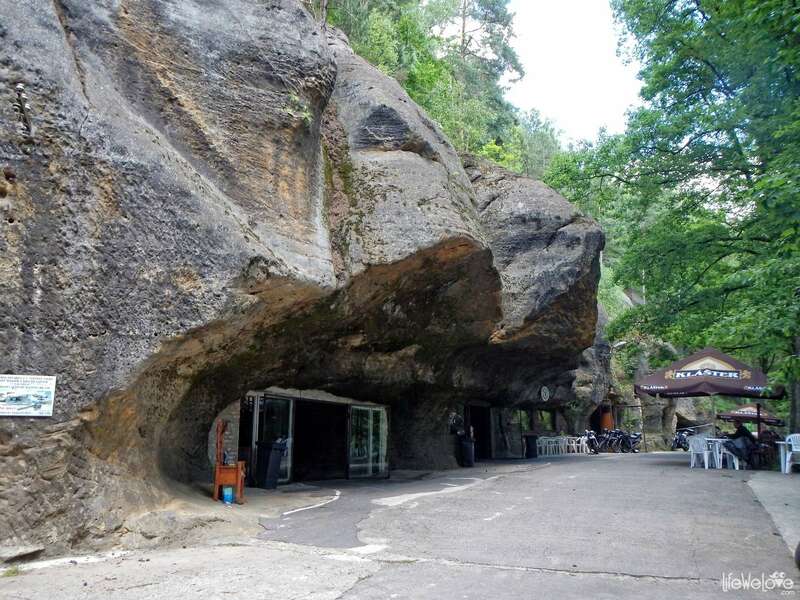 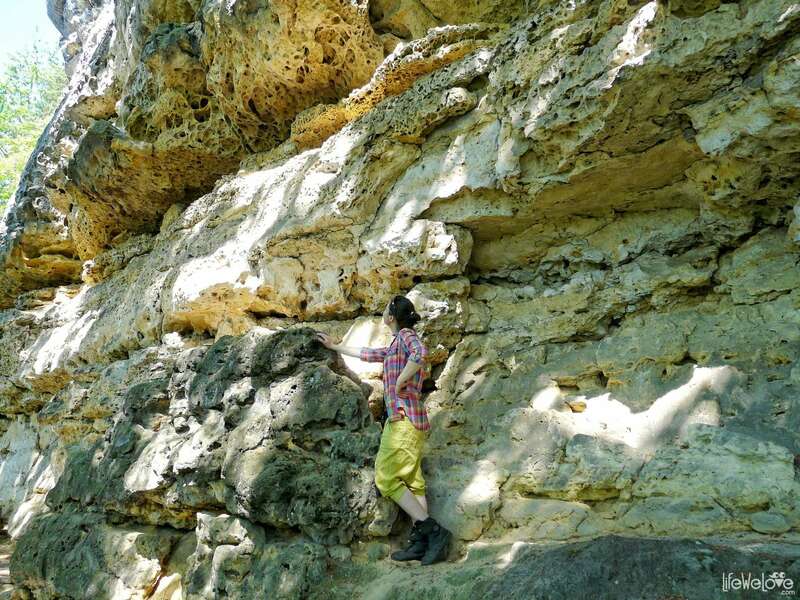 The total area of ​​the caves is approx. 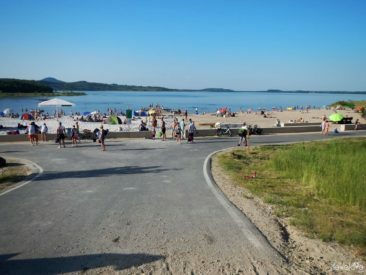 3.5 thousand of square meters. 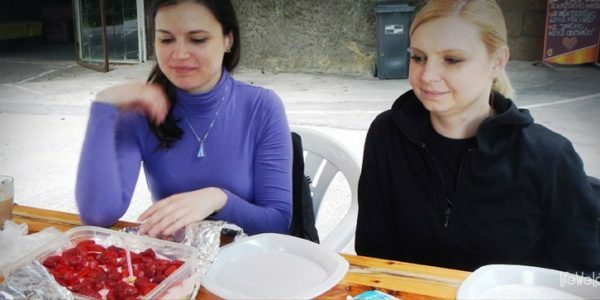 Wow, it is truly delicious: a homemade cake! 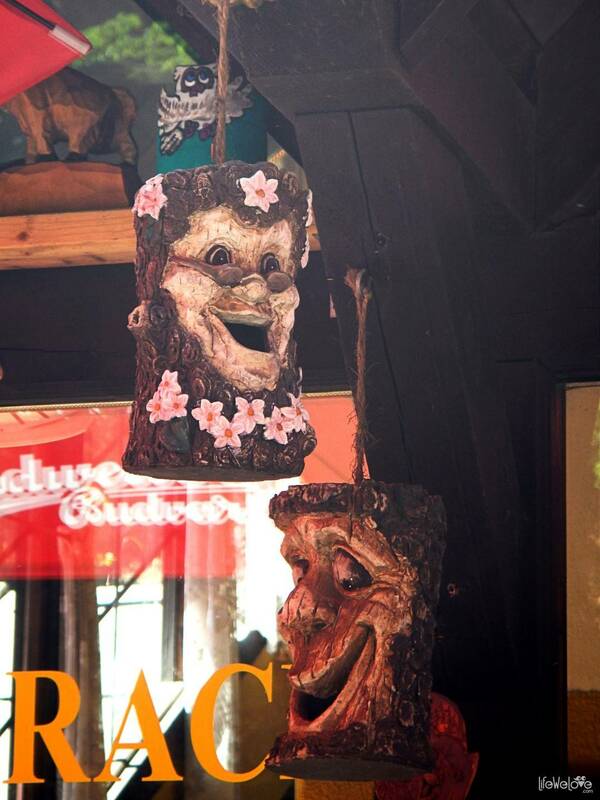 But this is not from the bar; lots of thanks to the Master of Baked Goods – Sebastian’s mom. 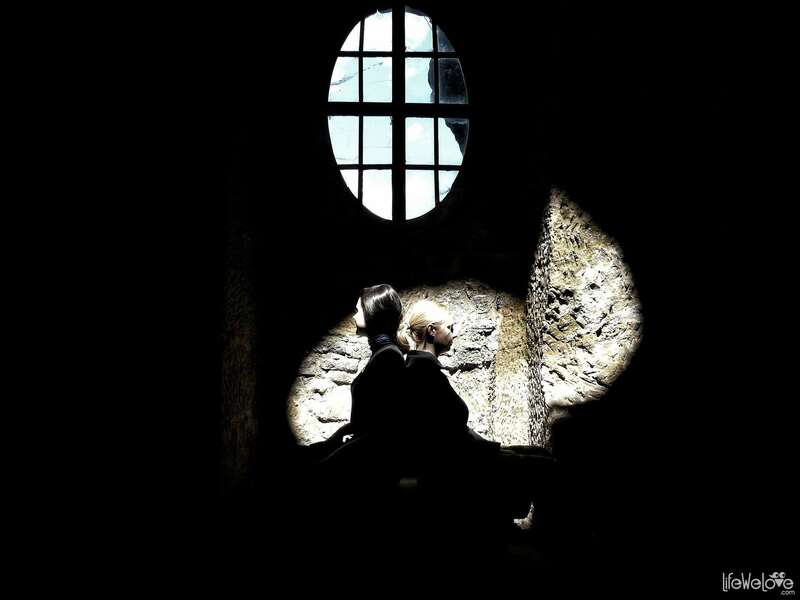 After an eventful day, boys lead us to a room where we rest before the next adventure. 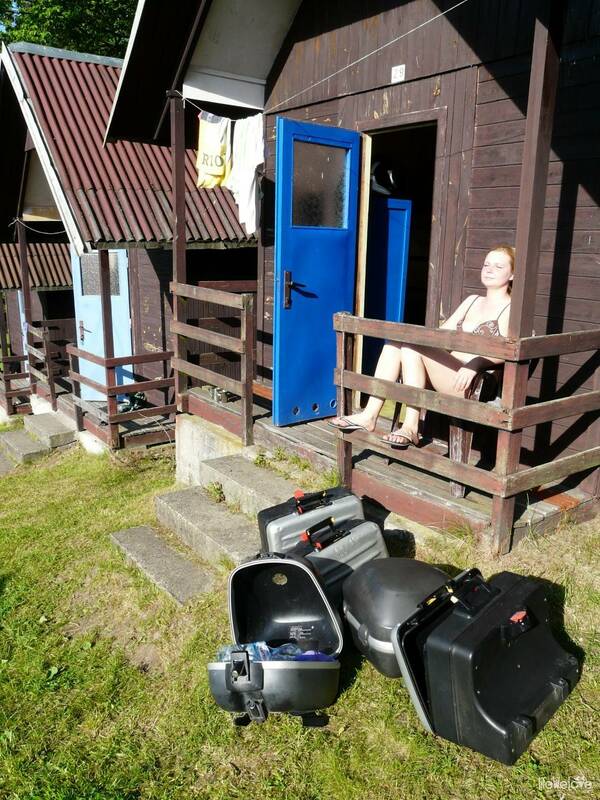 Large wooden hive with 4 bunk beds is quite sufficient, because the day after as a magnet for surrounding meadow bathed in abundant sunshine. And at dusk… at dusk camping begins to pulsate with its own life. 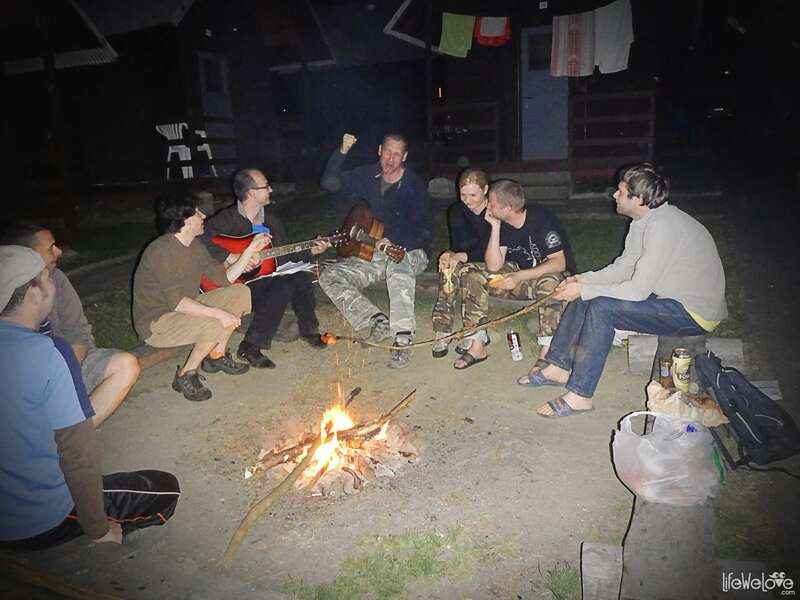 Full of family bustle, guitar sounds and singing by the campfire. 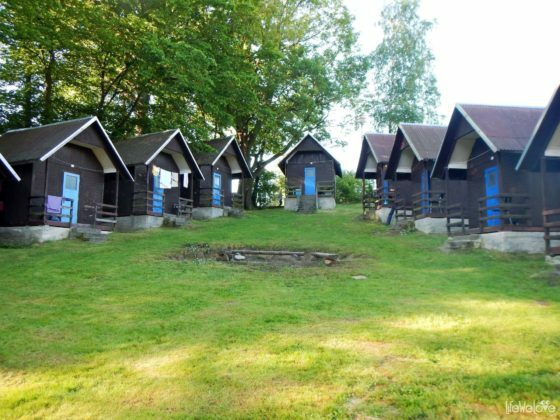 Sleeping in travel in the Czech Inter Mosquito Camp accommodation is a penny business, because approx. EUR 6 if you take a cottage for the four (full price list here). 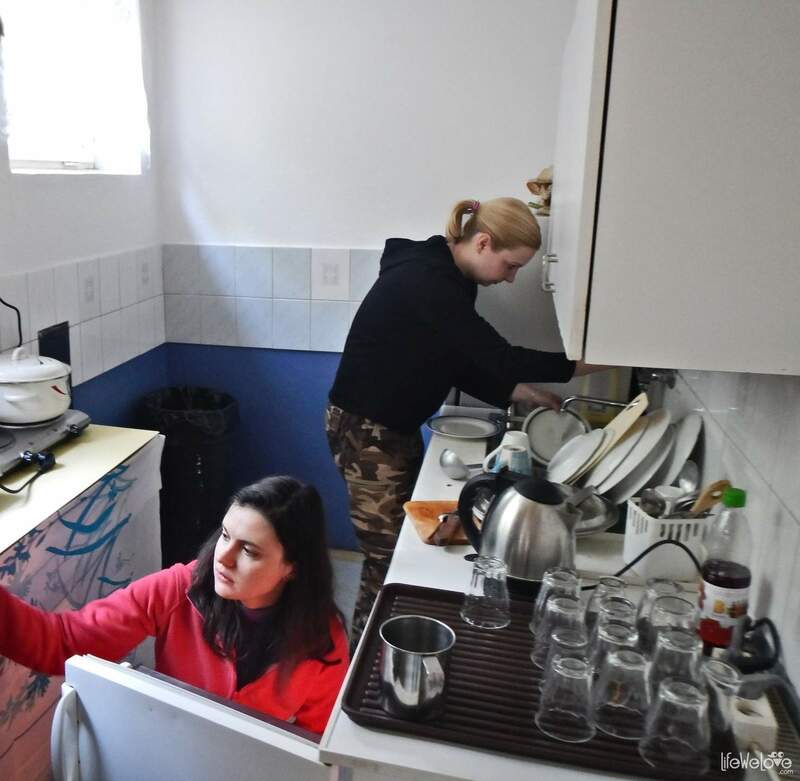 Camping is equipped with a functional kitchen, a mini canteen, and you will even find there a little restaurant on the terrace. 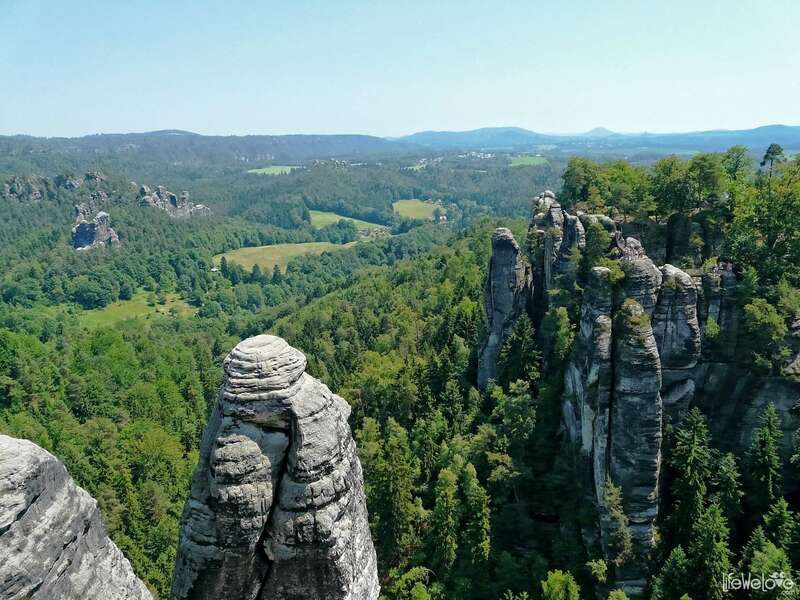 A new day extends its arms with forest land spread out on the rock bridges, balconies, spiers and walls, from deep gorges and valleys, through the steam towards the sun-dipped rocky spines. 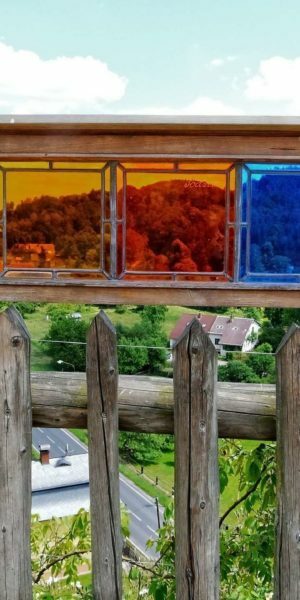 That’s how the Labské Pískovce welcome us, creating a landscape that is compelling and unique in Europe. 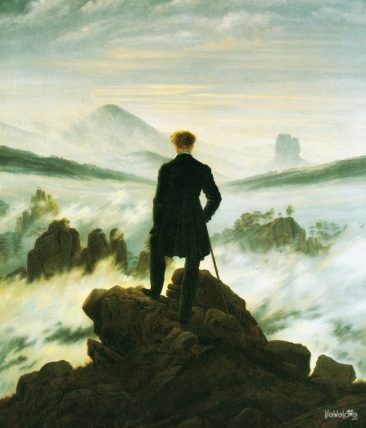 Even back in Romanticism, it delighted the Swiss painters. 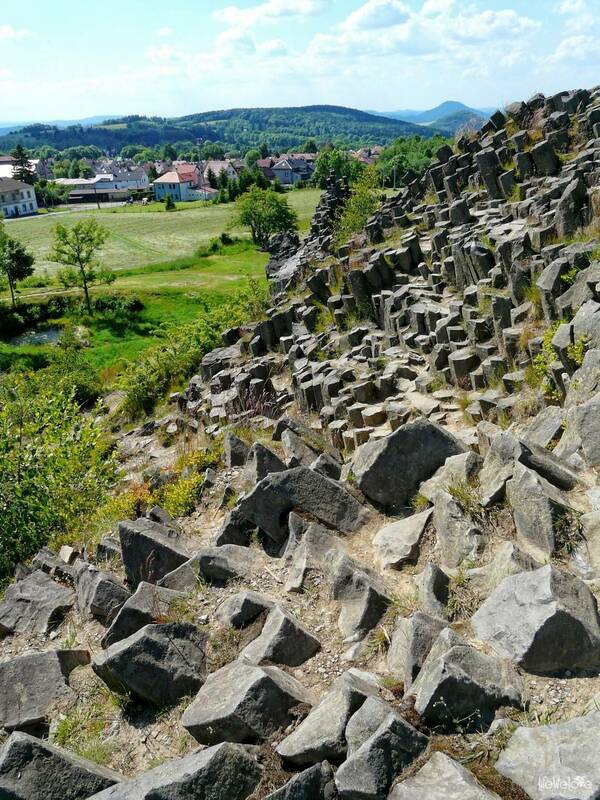 They appointed this park their Swiss foreign land. 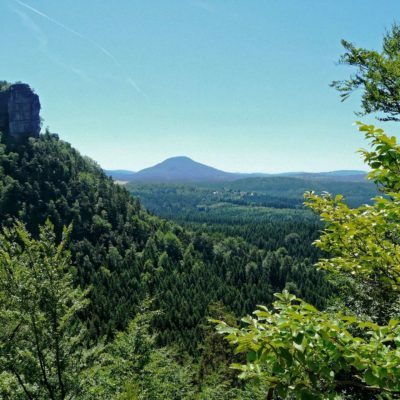 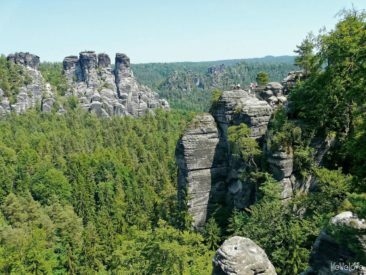 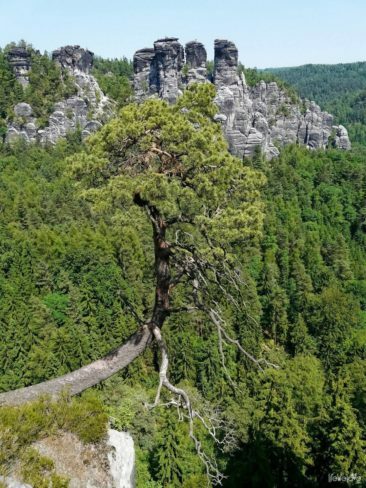 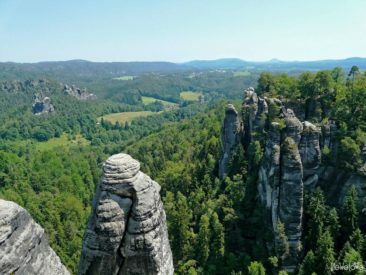 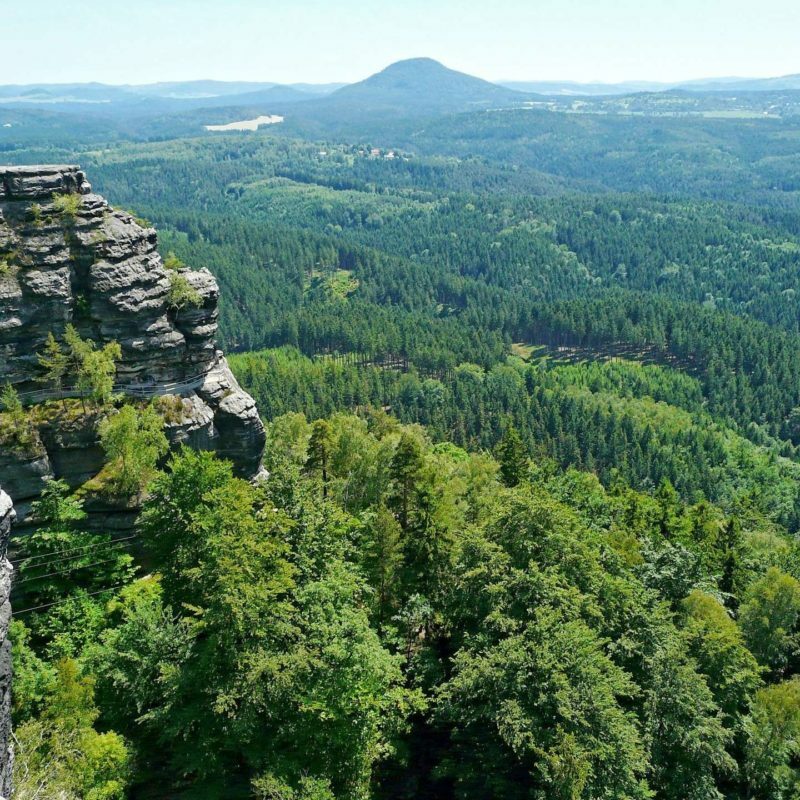 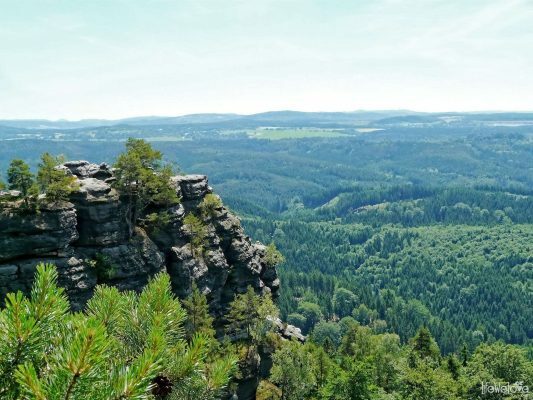 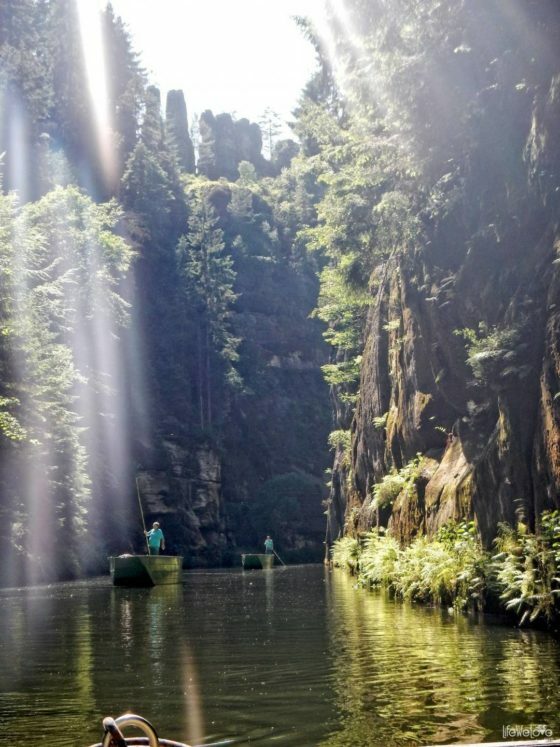 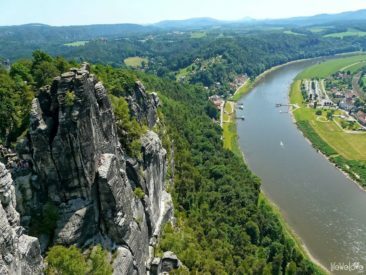 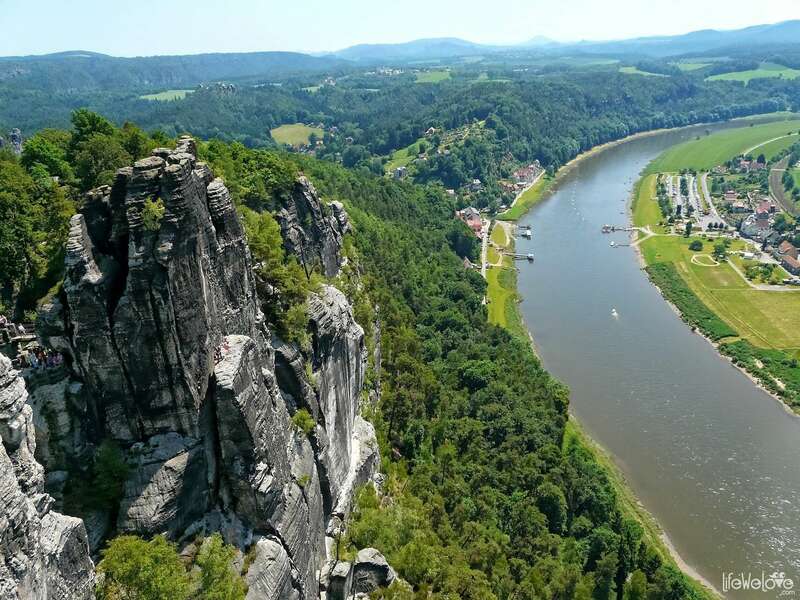 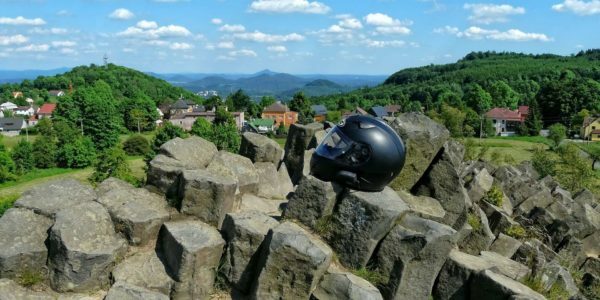 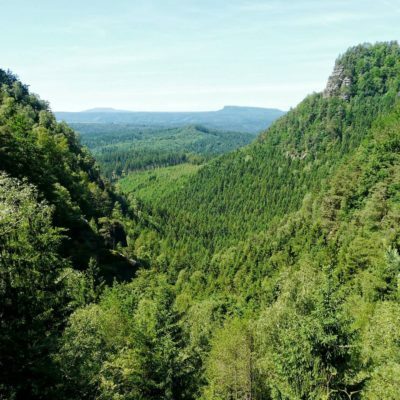 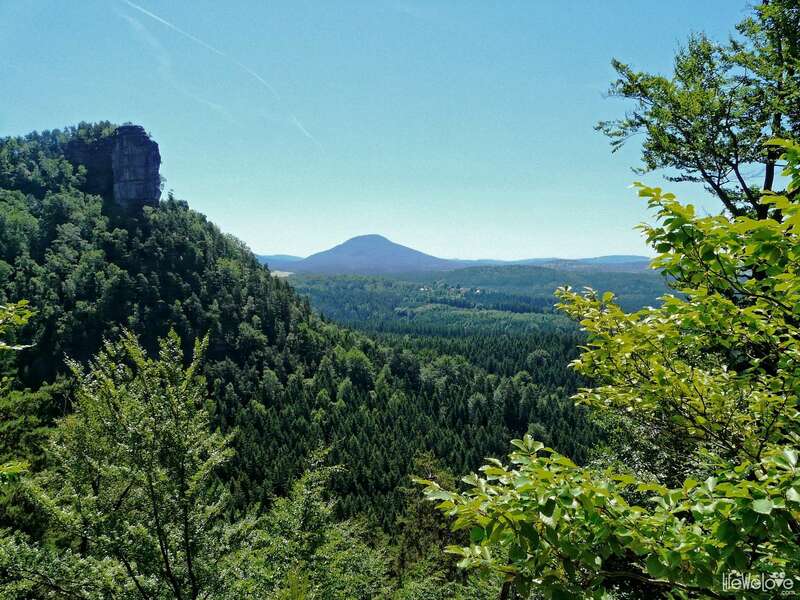 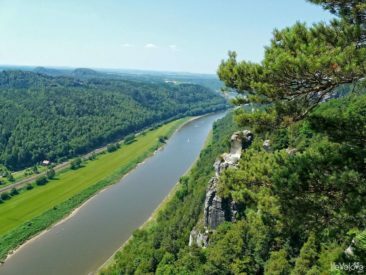 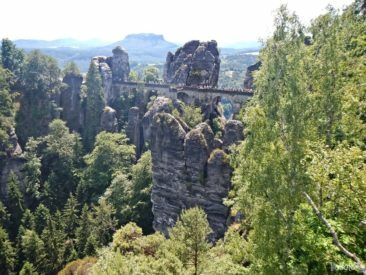 And so this land, located on the border between the Czech Republic and Germany took the title of the Czech and Saxon Switzerland. 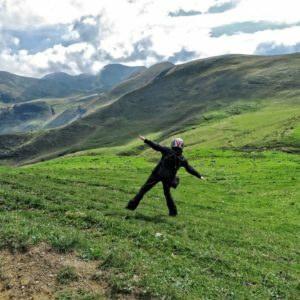 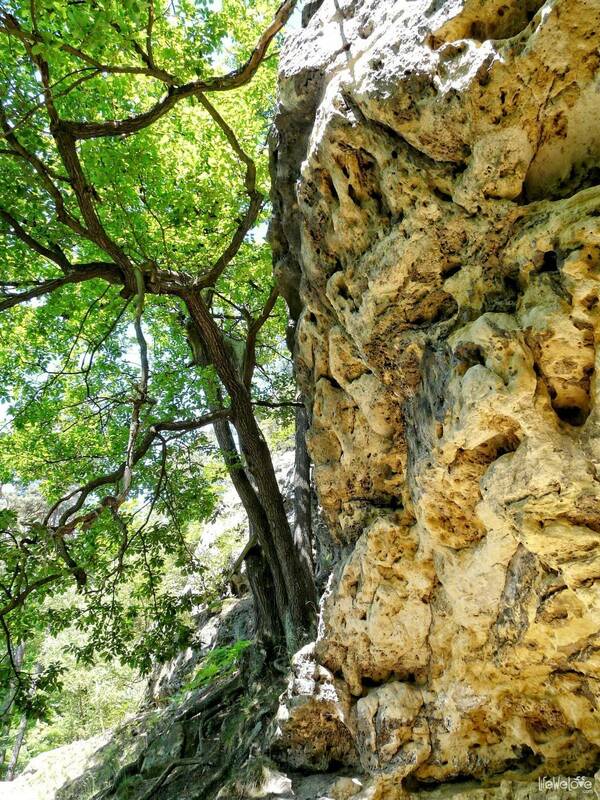 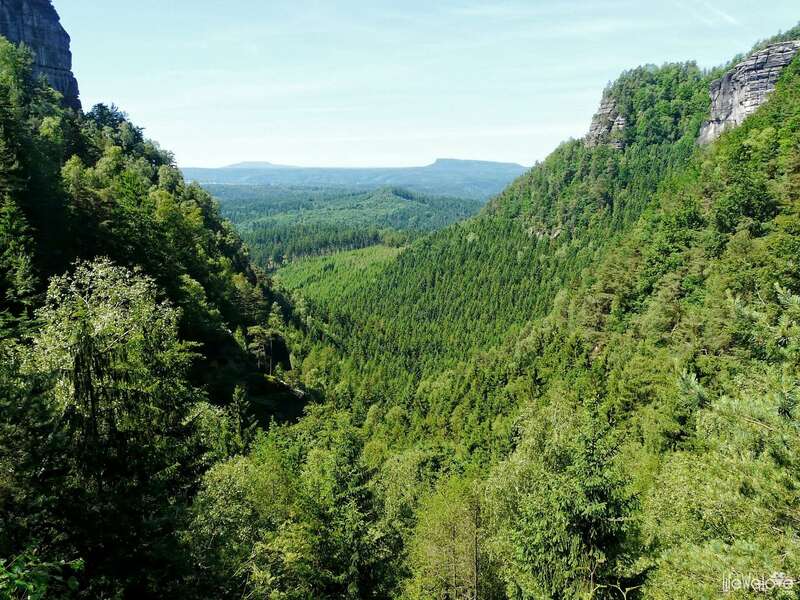 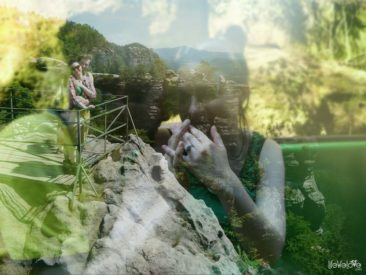 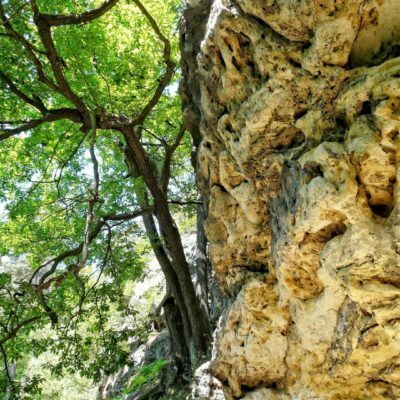 Being there, you will probably notice as well the amazing vegetation that is so diverse precisely because of the specific climate and weather conditions, different for cool gorges and valleys, and different for heated, higher parts of the park. 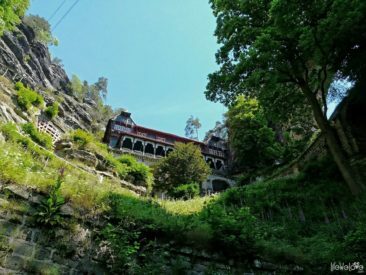 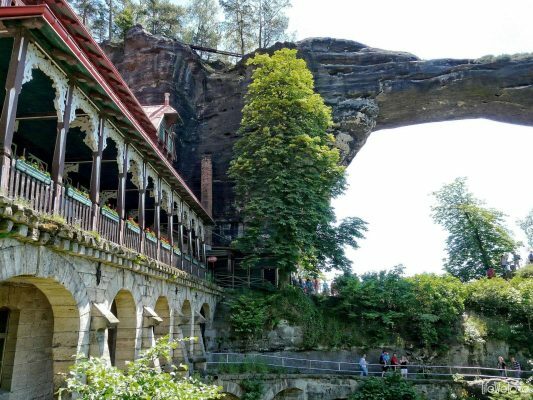 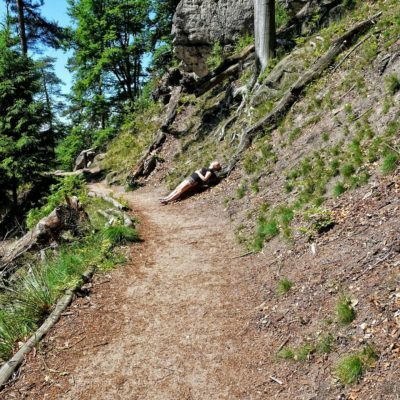 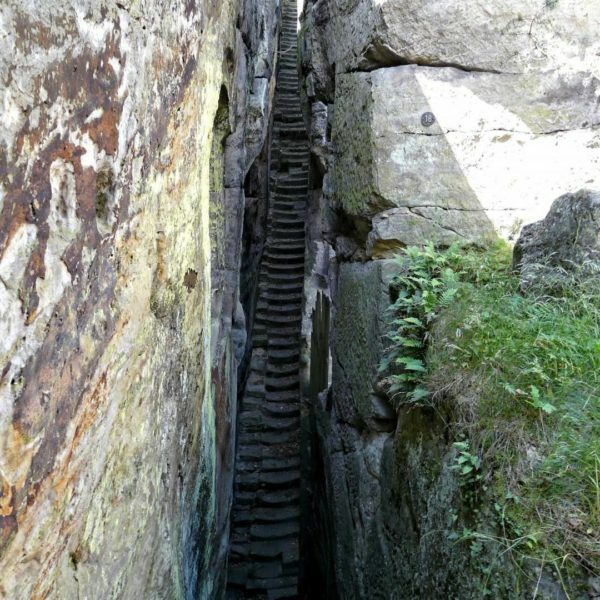 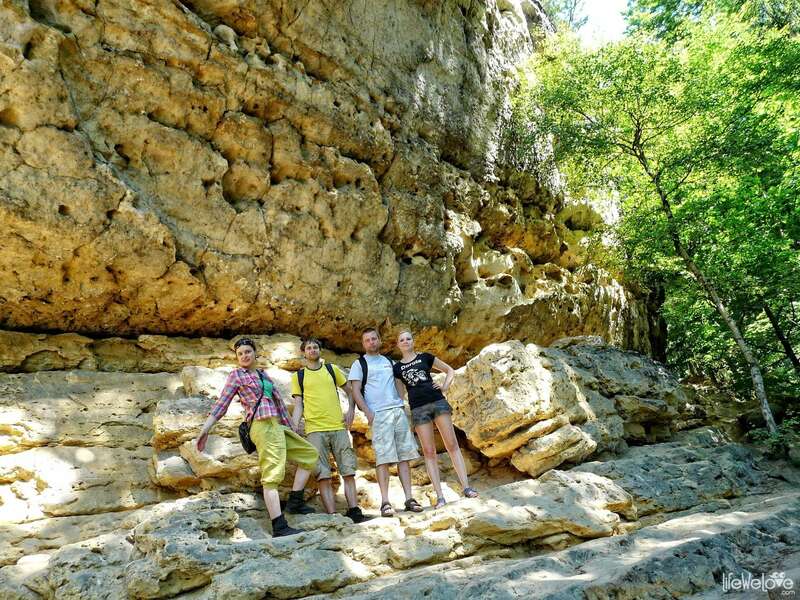 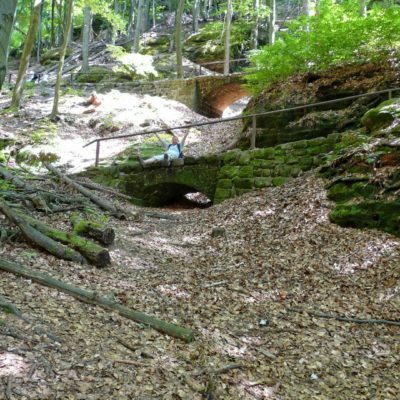 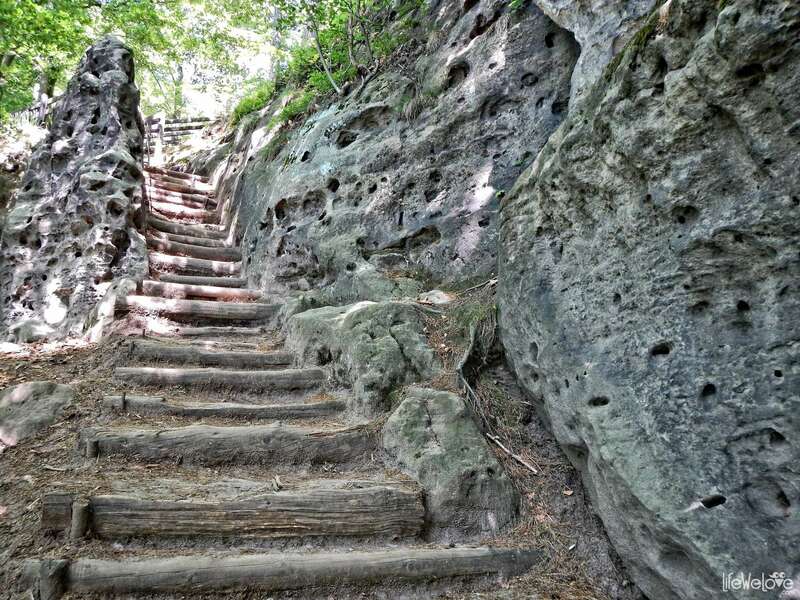 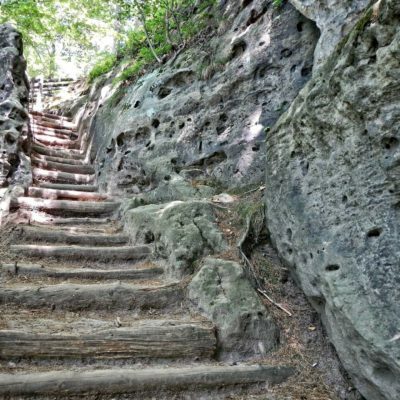 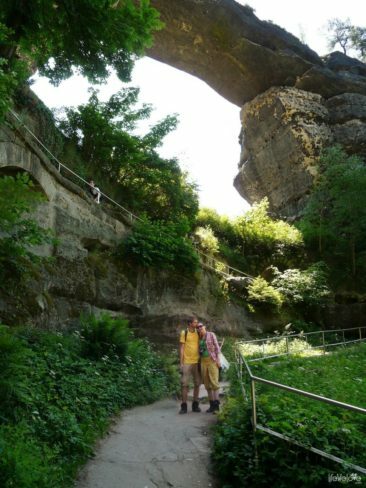 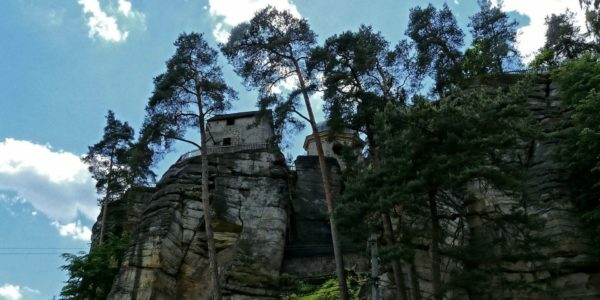 And all these picturesque paths, wooden stairs and rock ladders lead hikers to the unusual gate, which is the largest natural rock bridge in Europe known as Pravčická Gate. 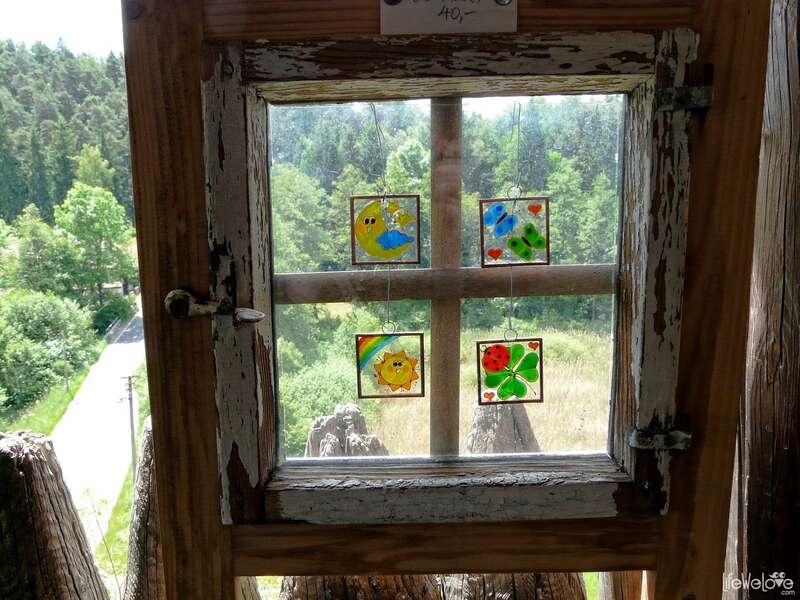 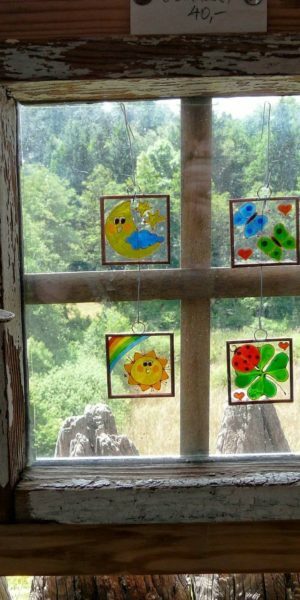 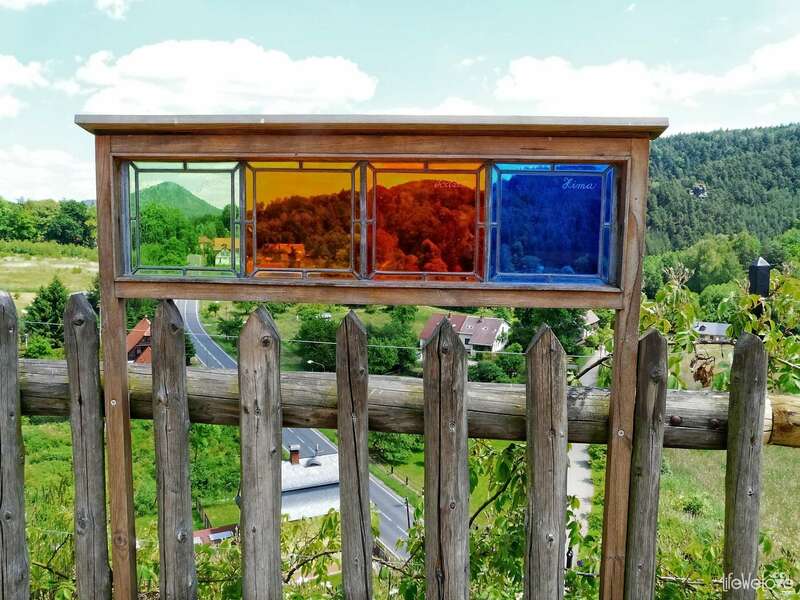 It was this symbol of the Czech Switzerland that so captivated Joki while watching the photographs, that he decided to make it our symbolic “gate of love”. 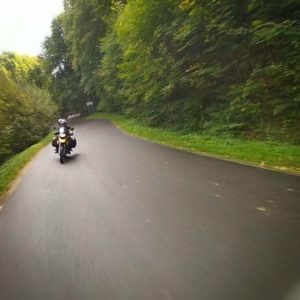 I was not expecting nothing at all. 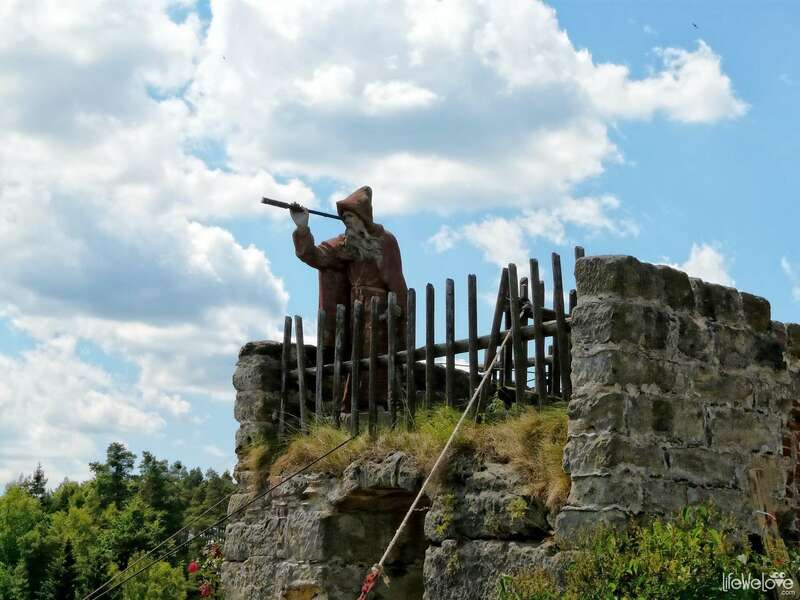 I was with runny nose, but desperate to heal myself with a decent walk, dressed in comfortable rags, with a bun of Littly My on the head, I suddenly realized that this Knight of mine abducted me to this land to ceremoniously make me his Lady. And I think there couldn’t be a better time during the trip than this, where the whole WE just are, without masks, ornaments and distractions of everyday life, relying on ourselves and friends, intoxicated with the beauty of a new day, whistling together the travel songs and happy that once, somewhere our paths have intertwined, so that today we are able to toddle together towards common dreams. As you might expect, the gate itself on the top deck has already ticketed entrance – 3 Euros per adult person or 1 Euro for half-price ticket. 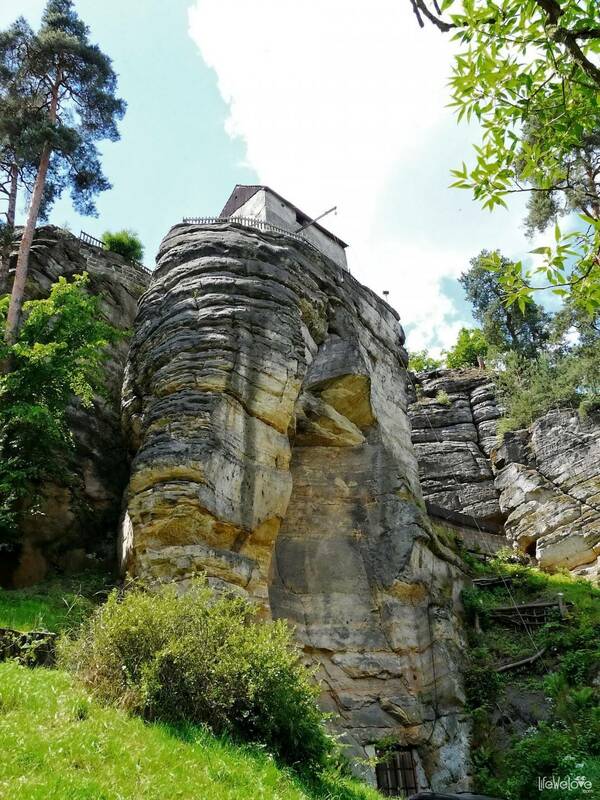 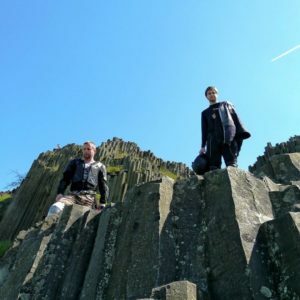 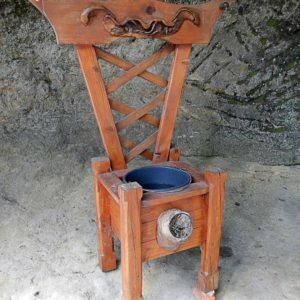 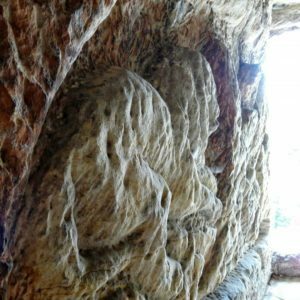 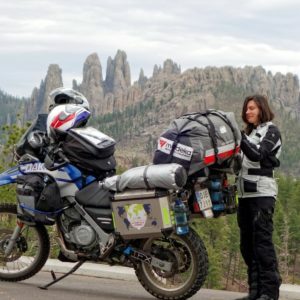 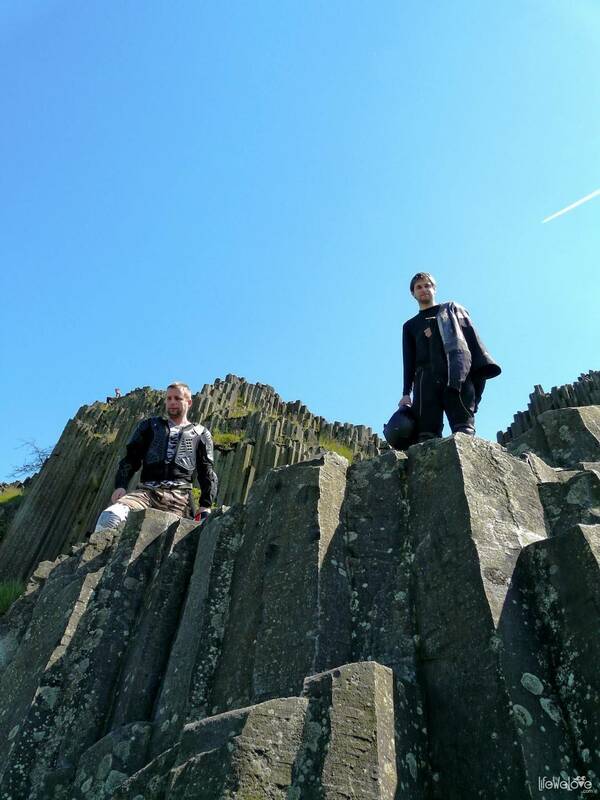 Although the act at the stone gate undoubtedly becomes for me the highlight of this mysterious expedition, more surprises are absolutely not missing. 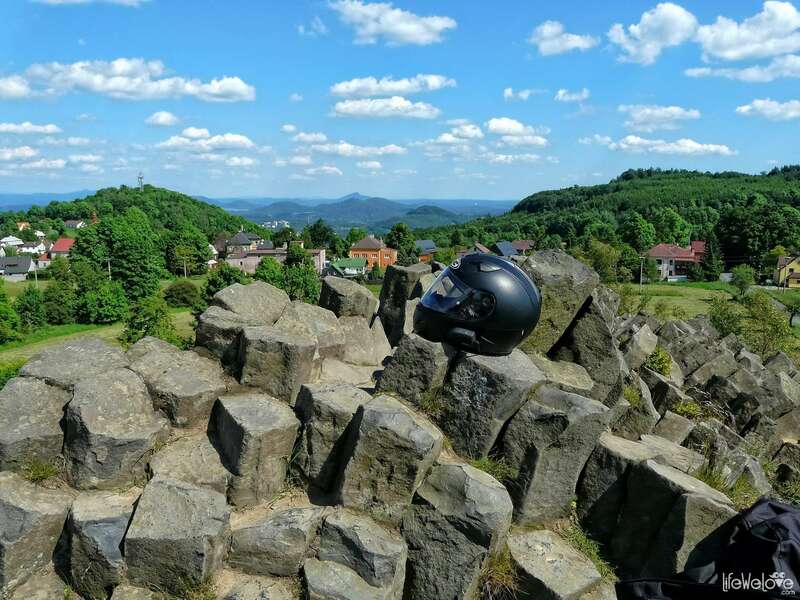 Not only that, our engagement in a moment becomes only the backdrop for the epic feat of Martin, who like Forrest Gump makes heroic culmination of the day with his long-distance run after our helmets waiting in the Czech shack at the entrance to the park. 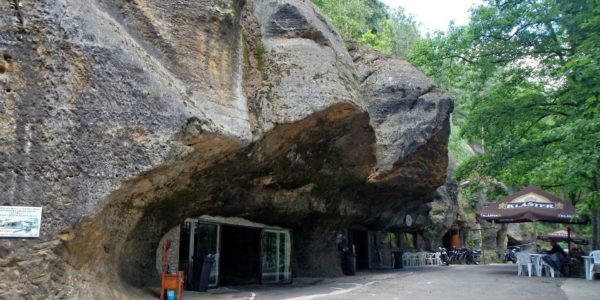 For suddenly it has become so late that the kiosk at any moment will be closed and with it our equipment, thereby preventing our return. And all because of the boats, the promised romantic gondolas on the small river Kamenice. 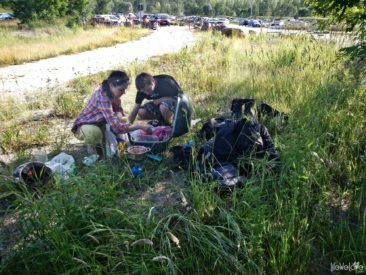 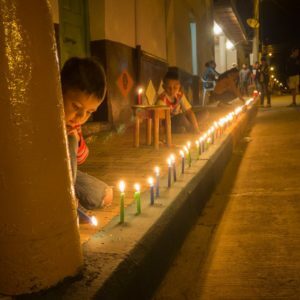 Our kidnappers have loosened up so much that we unnecessarily wandered in the heat many kilometers in a completely wrong direction. 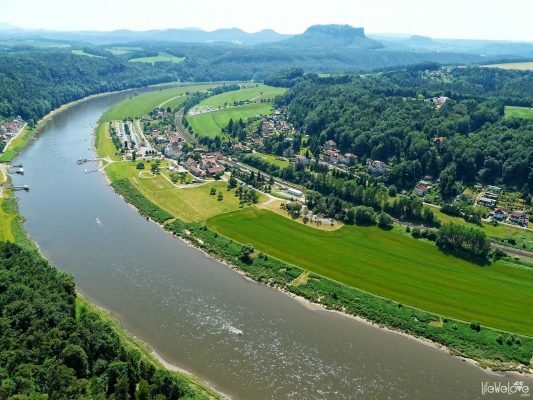 Because the river and boats obviously flow in one direction, and when one reaches the end of their tour, no one will flip us through the stream… ;) We wandered around, also in dust on the road, sometimes in beautiful surroundings, but making the distance, arguments about the direction and empty water bottles have done their job. 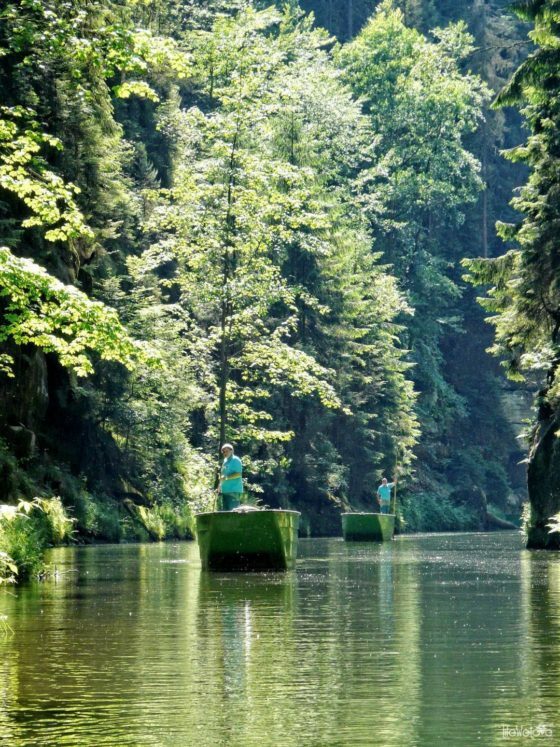 Finally, we blissfully sat down to our dream boat and all the stress was forgiven. 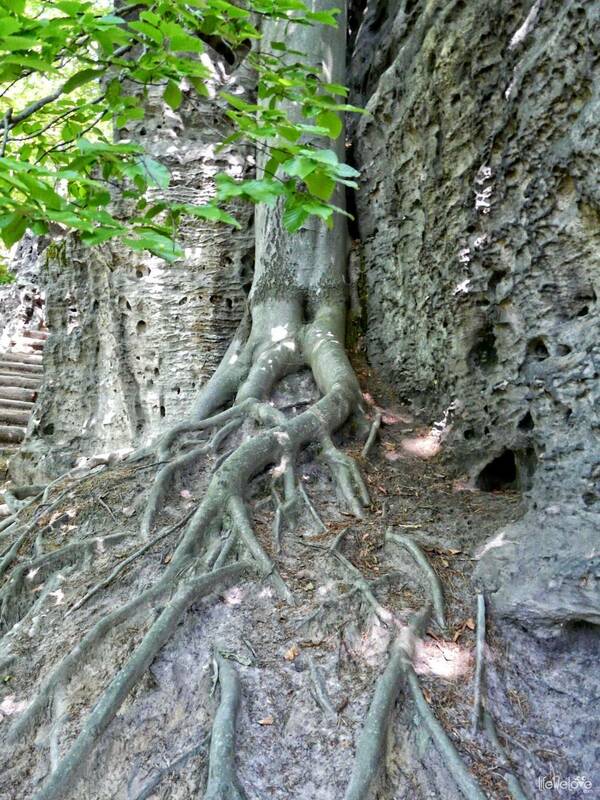 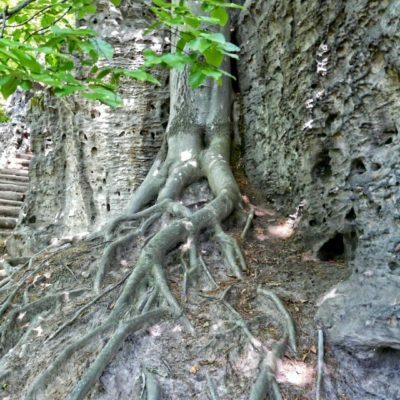 We get wrapped by the gentle coolness of the ravine. 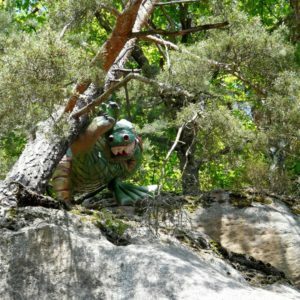 The cheerful skipper causes the rock walls to give a cold shower, known as the Czech Niagara Falls, attraction of this trip (one squeaks, others laugh). 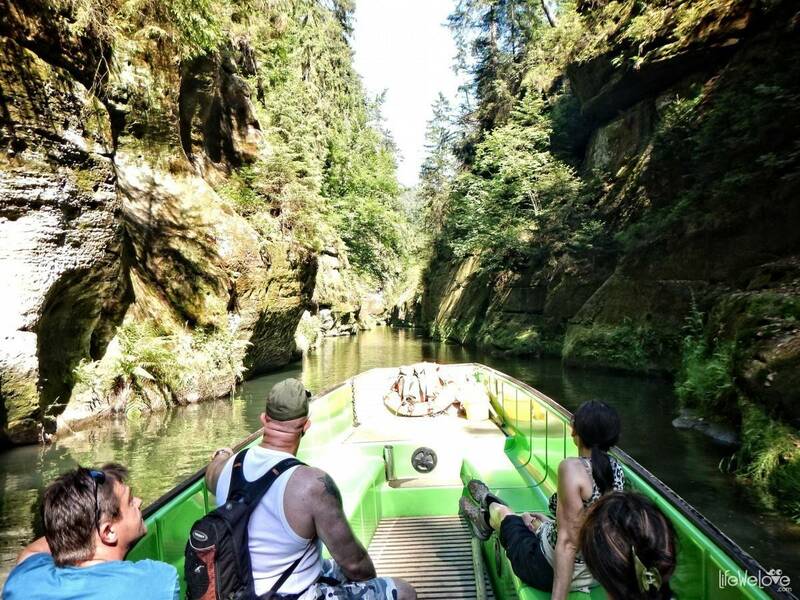 Cost for the boat per person is CZK 80. 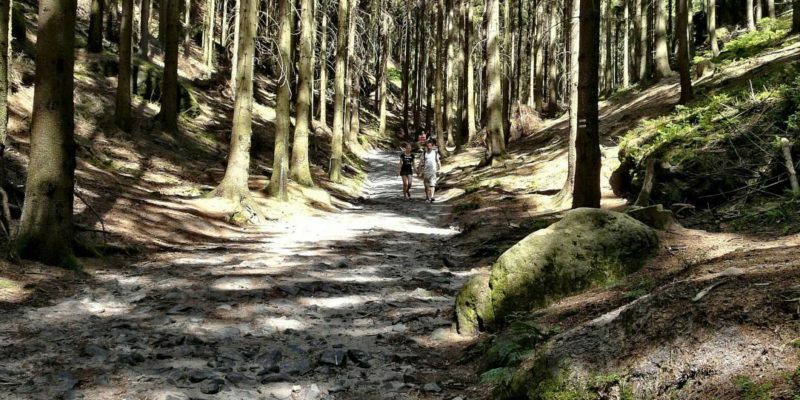 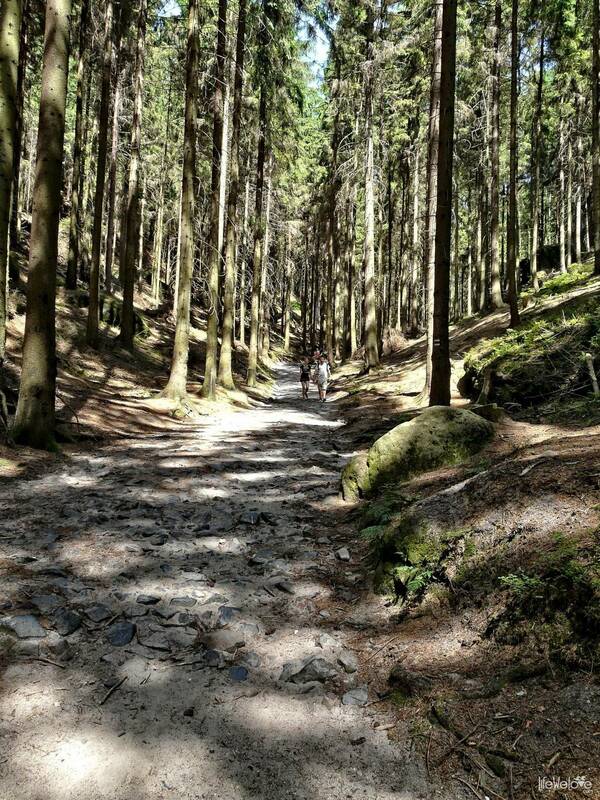 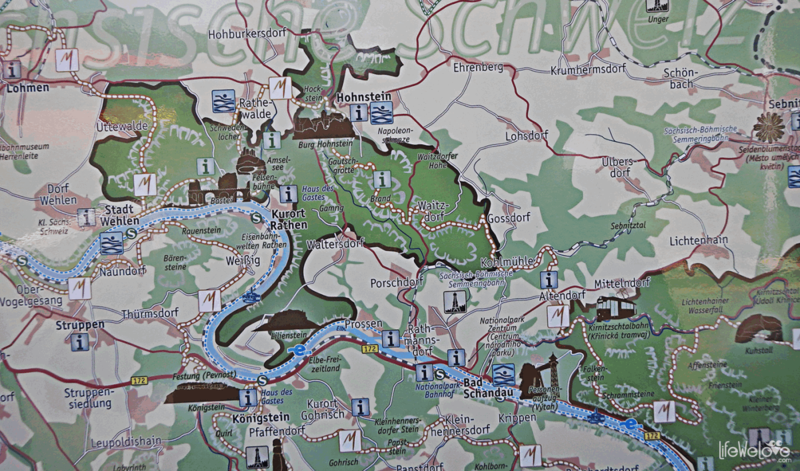 If you have the desire, time, and the possibility then allow yourself to wander around the beautiful Czech Switzerland as much as possible :) But if you depend on the plan and optimal use of vacation, we present helpful maps below. 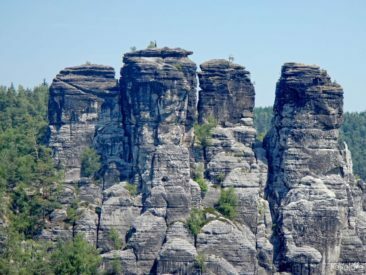 Poland, the Czech Republic and now Germany. 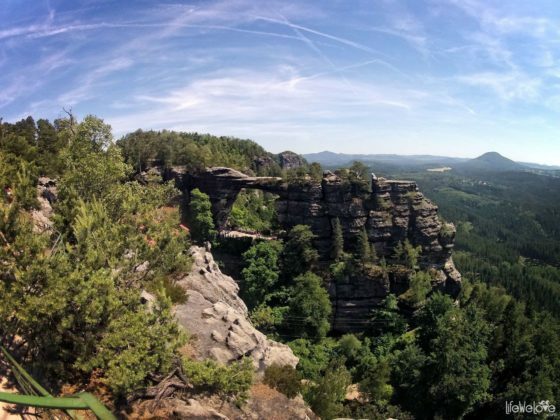 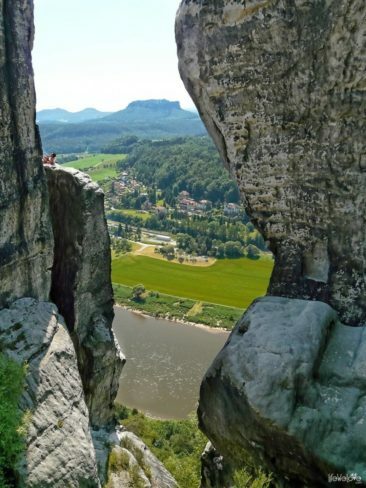 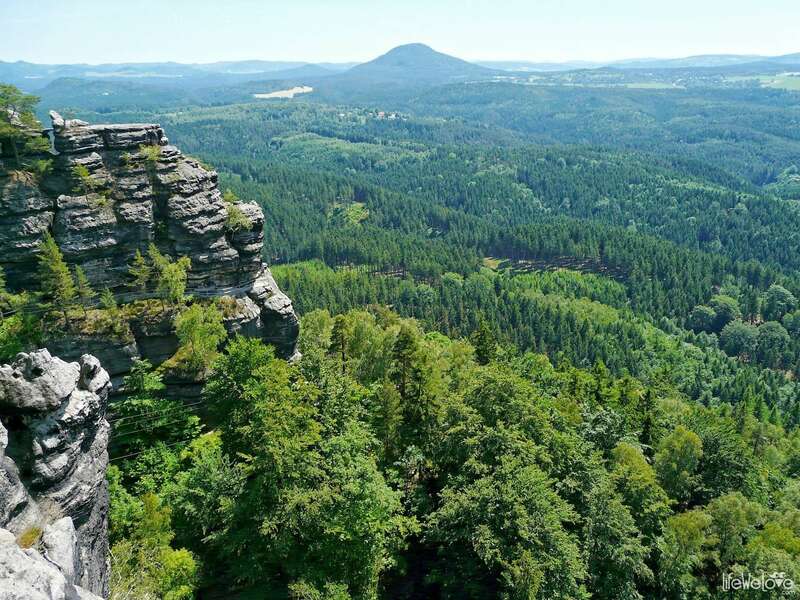 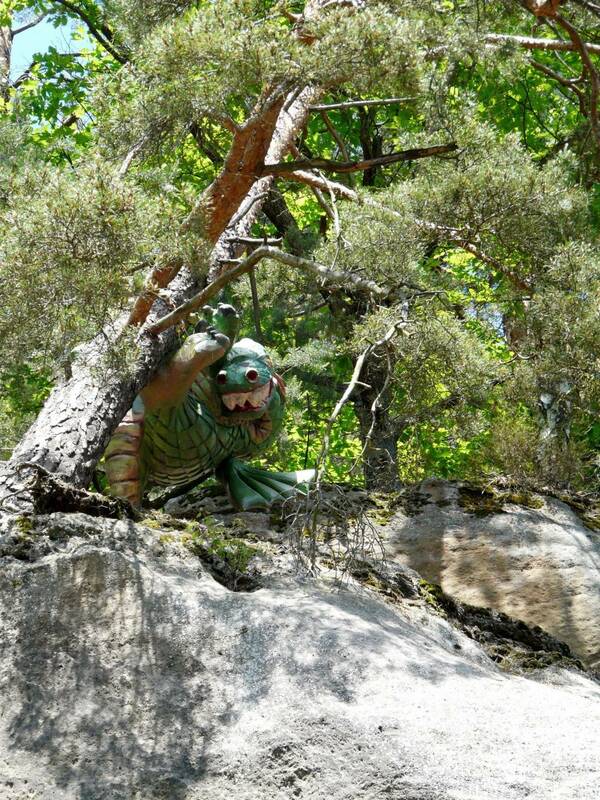 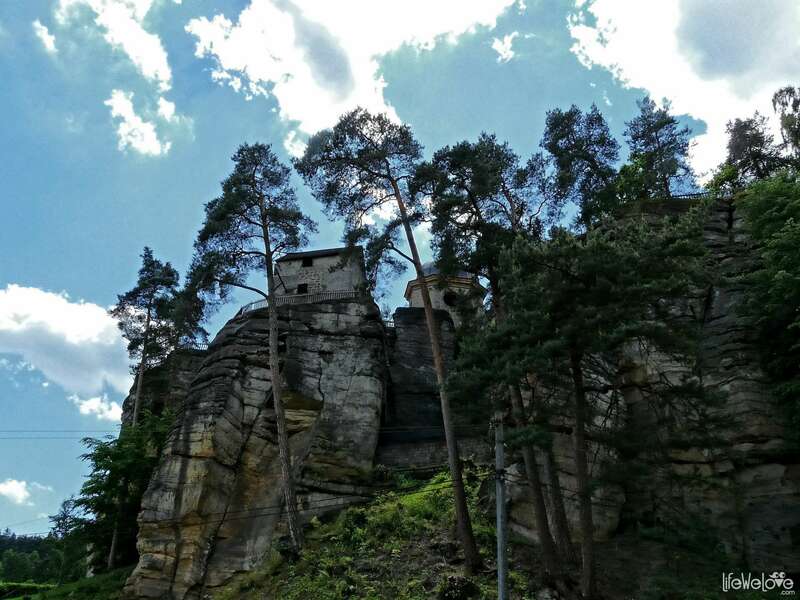 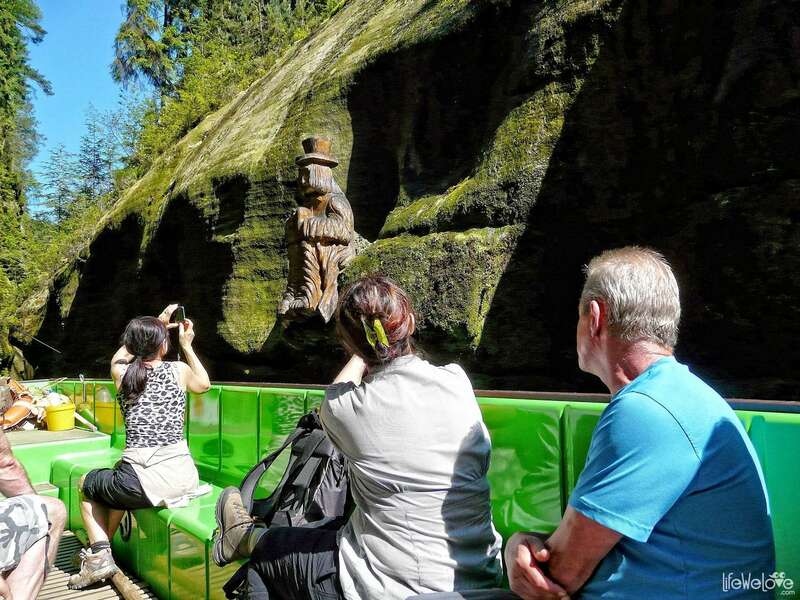 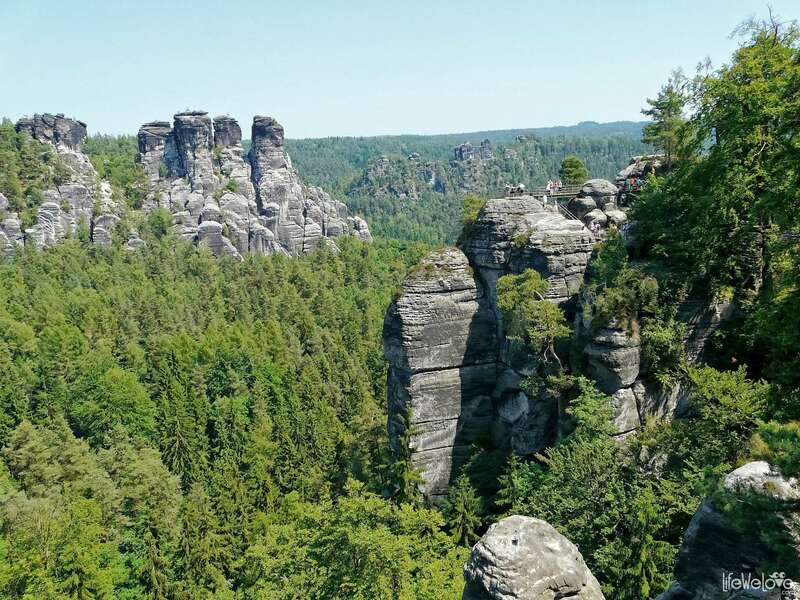 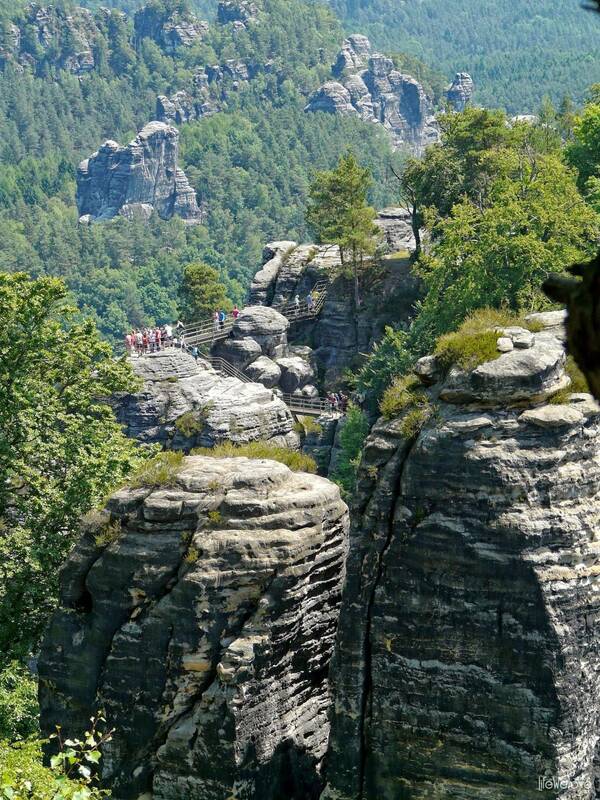 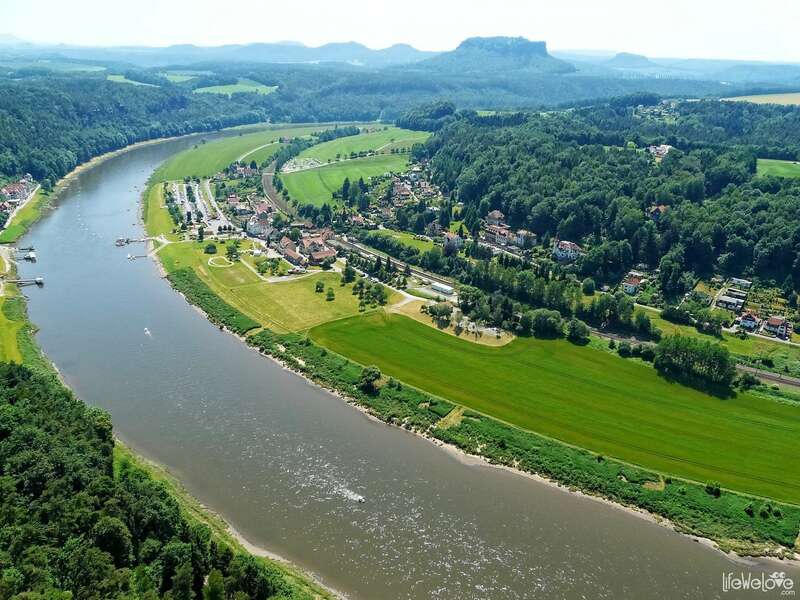 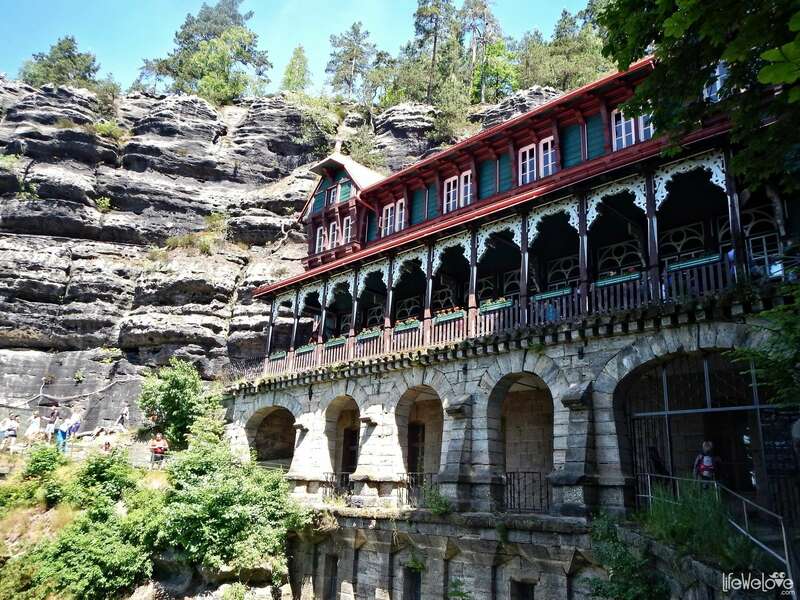 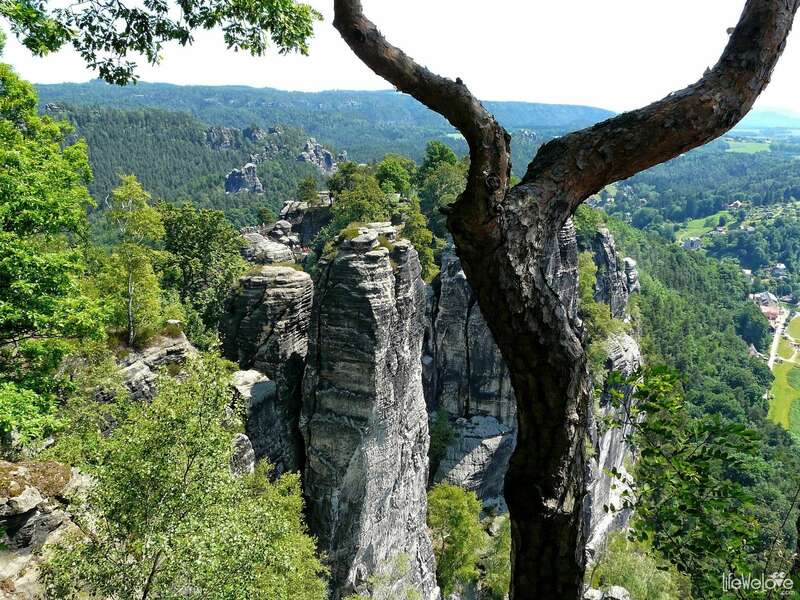 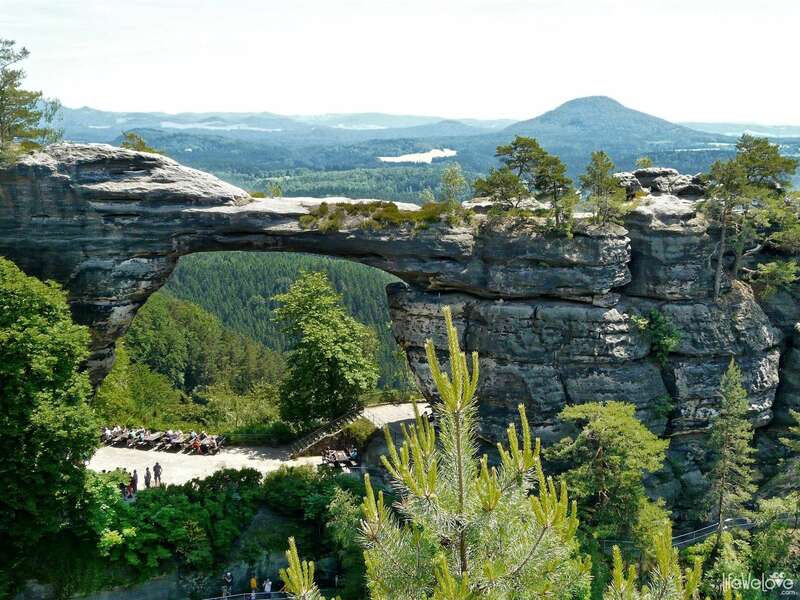 We move to the Saxon Switzerland, the Elbe Sandstone Mountains, approx. 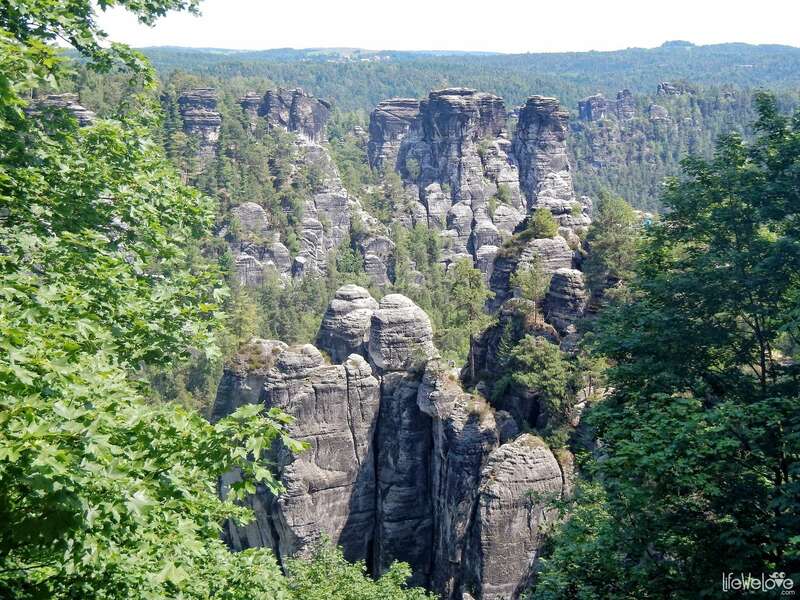 40 km south-east from Dresden. And here again, oh, those views, rock chimneys, folds and towers, the famous stone bridge Bastei, in the distance ribbon of Elbe River… Only the waves of tourists way too big, especially on weekends, so one hasn’t got peace and quiet to contemplate the work of nature like “The Wanderer above Sea of ​​Fog” from the Friedrich’s painting. 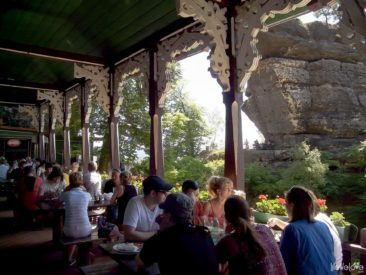 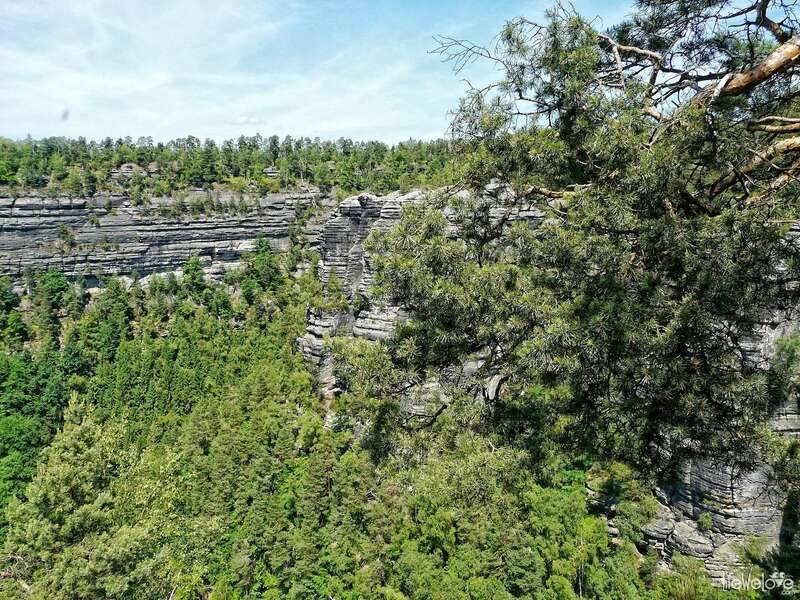 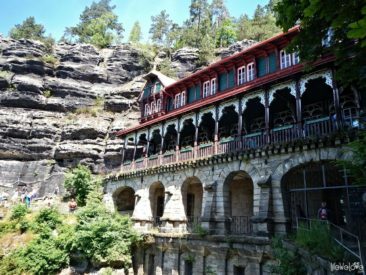 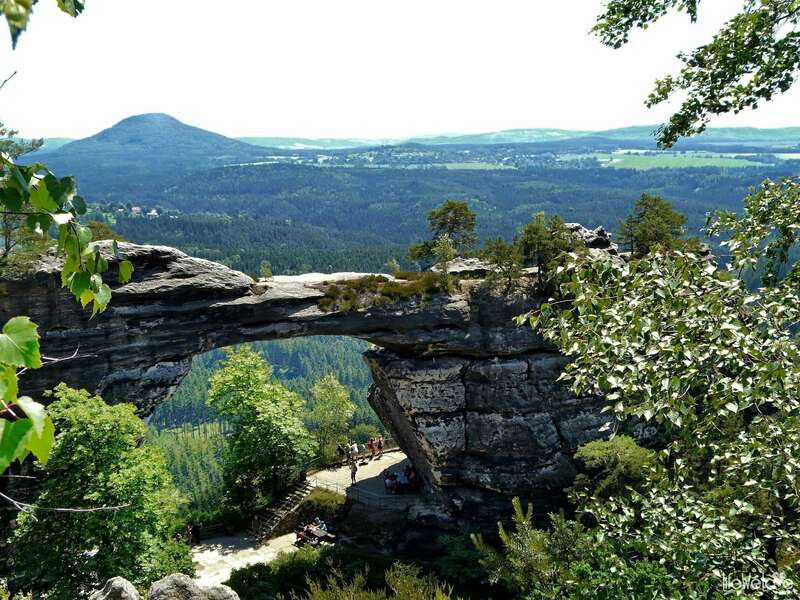 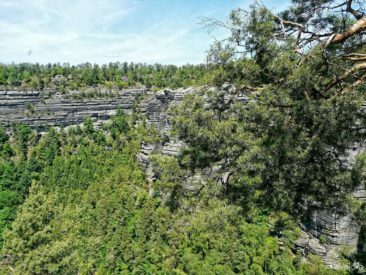 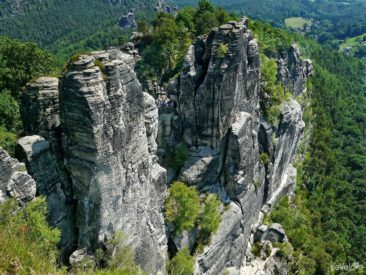 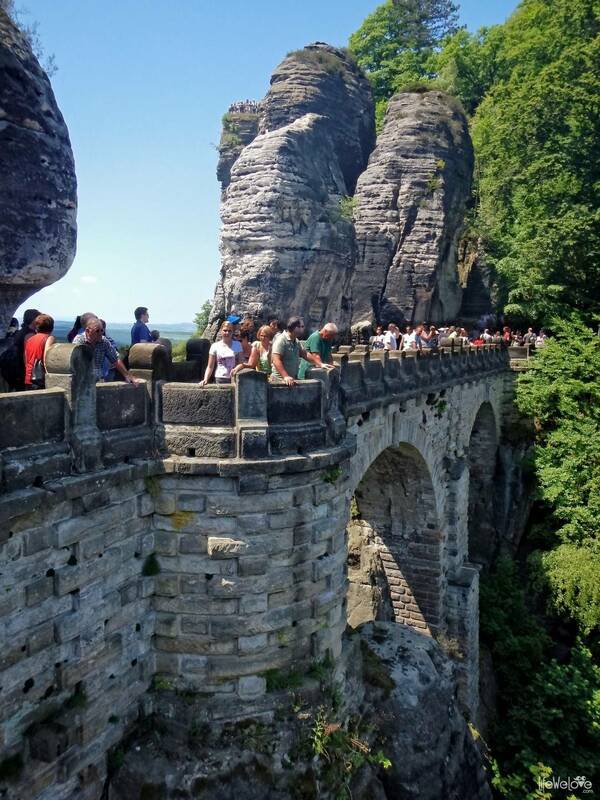 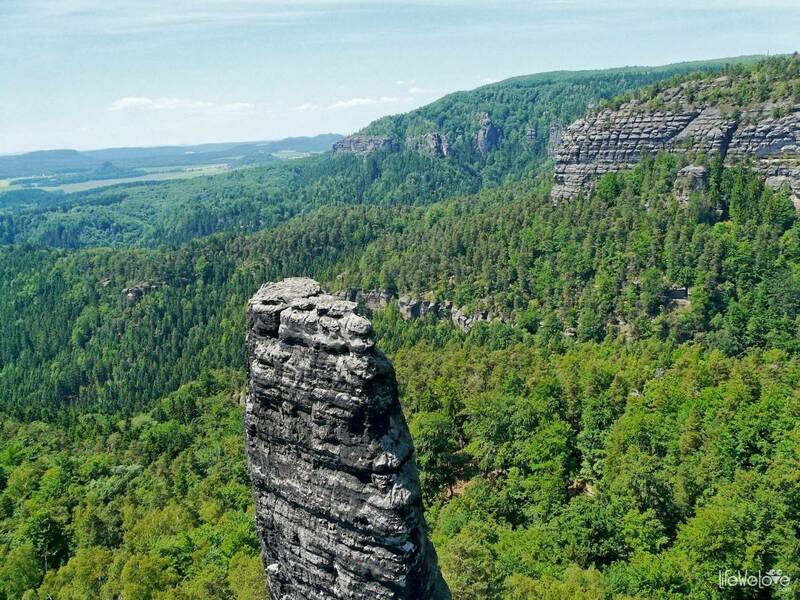 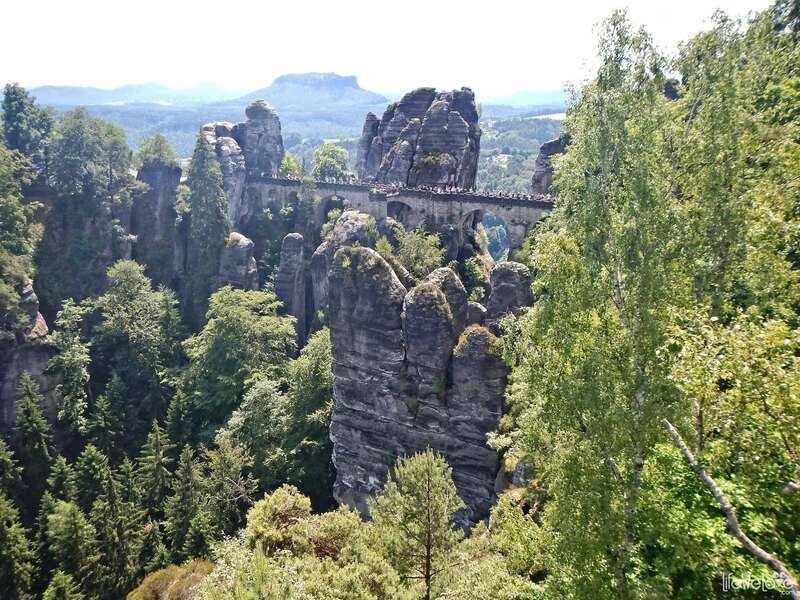 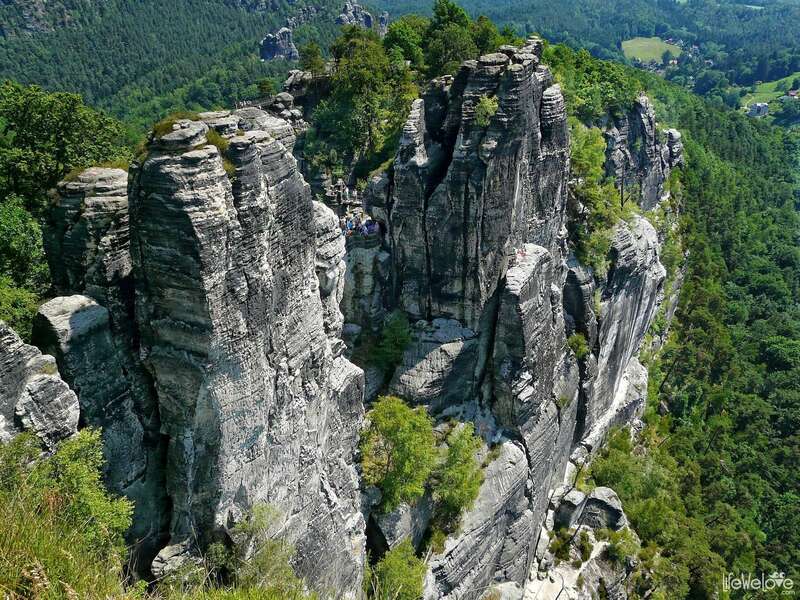 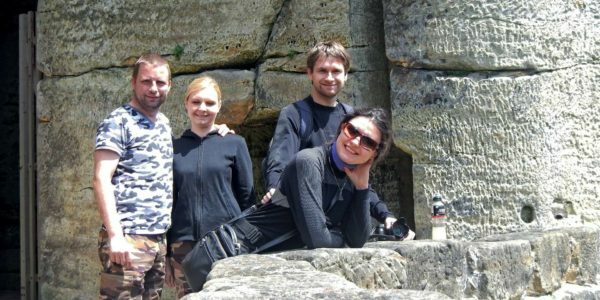 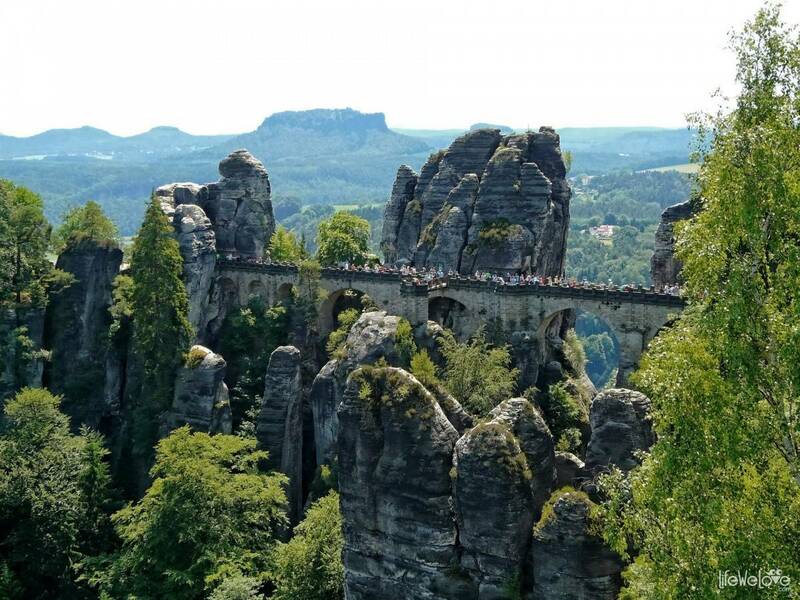 The map presents the most important attractions in the area of Saxon Switzerland, among others is the famous Bastei Bridge. 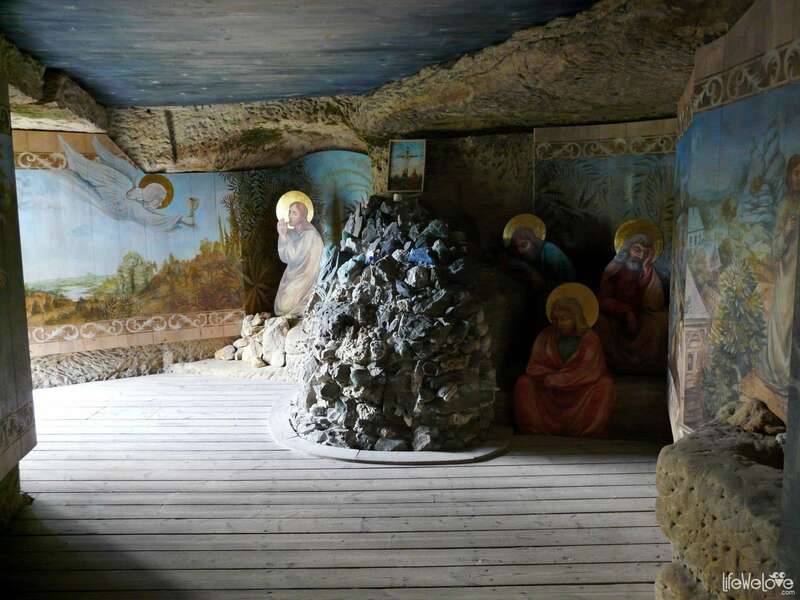 And the one who was in Sloup, at the Lord’s Rock, in the Pits of Hell or the “Czech-German Switzerland” and can say something – we encourage to comment below. 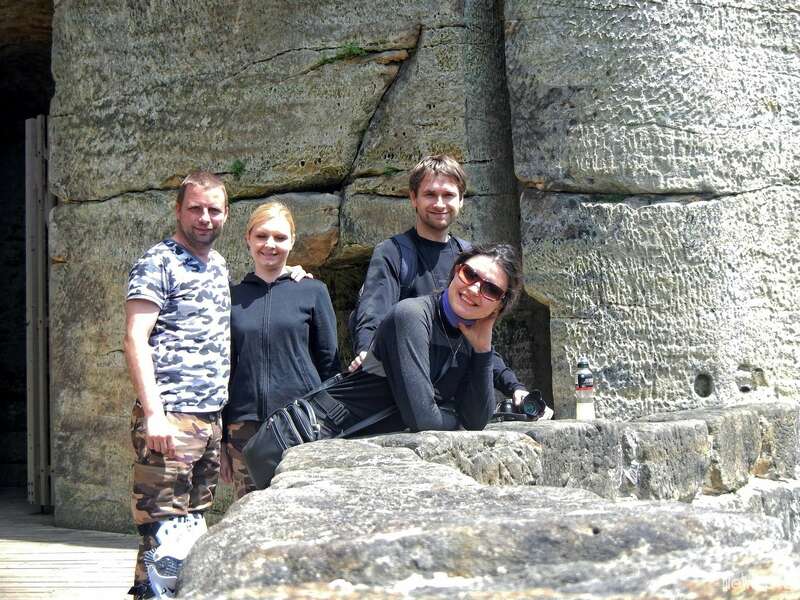 The Needles Highway, a winding road finally!